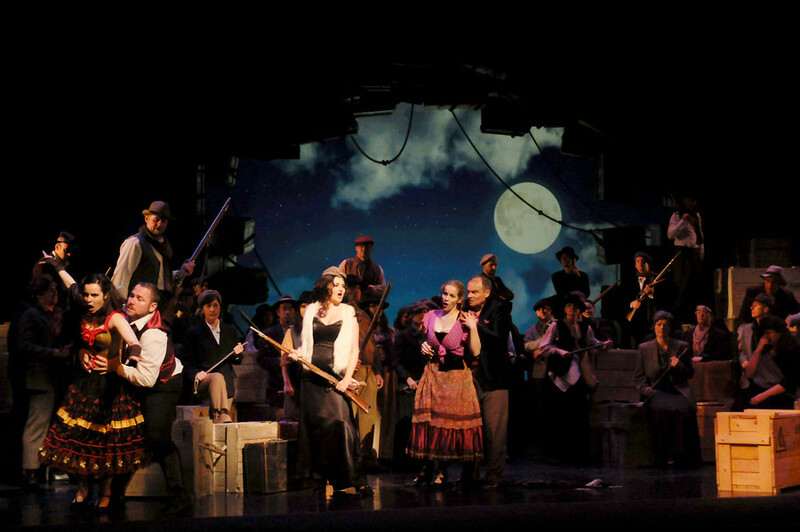 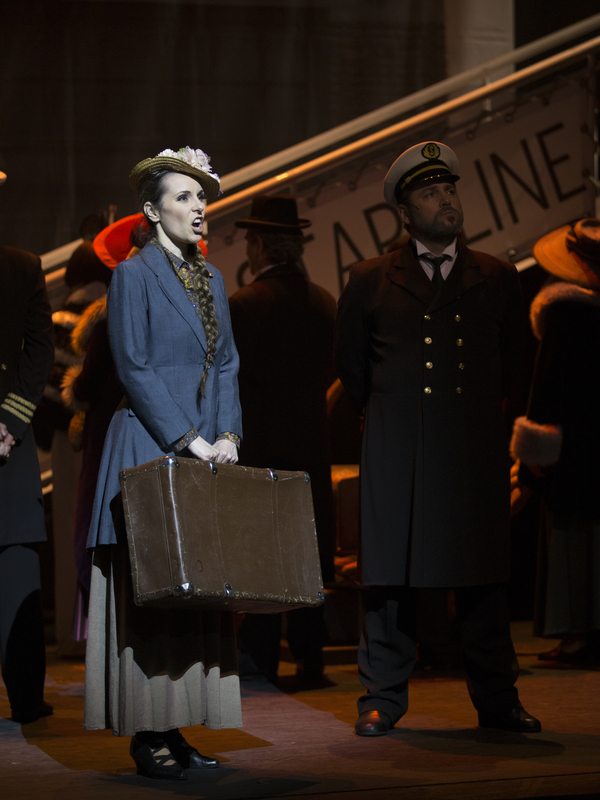 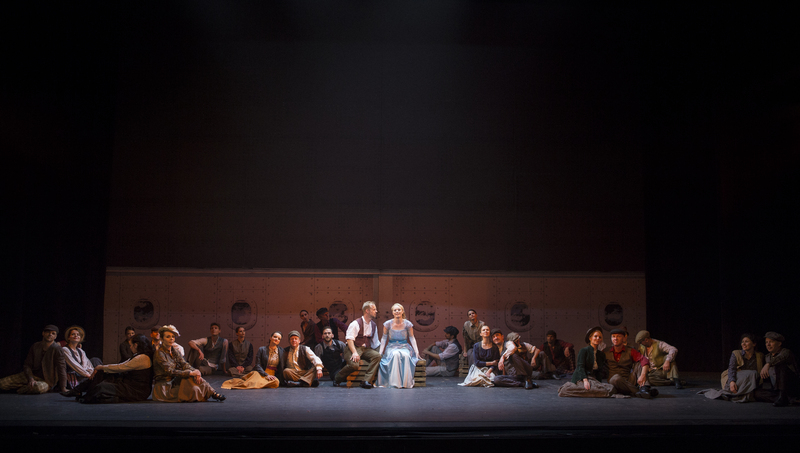 Valentina sings the part of Kate Murphy, a young Irish girl who takes the infamous trip to America on the Titanic. 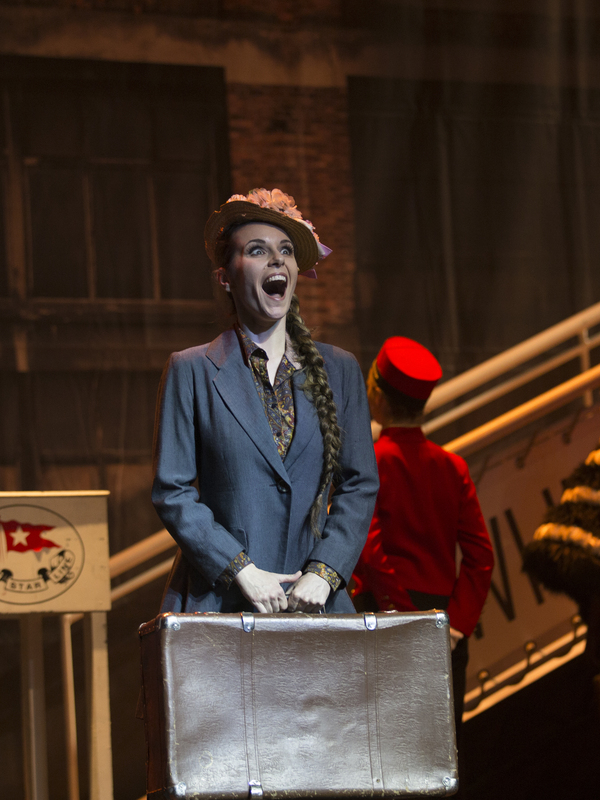 She is a happy 3rd class passenger who miraculously survives this horrible tragedy. 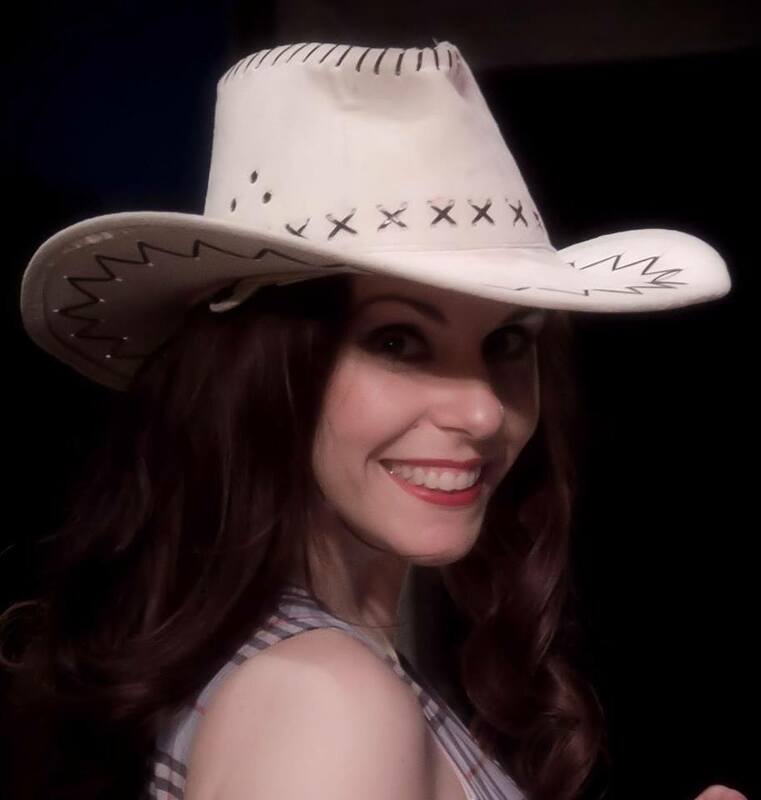 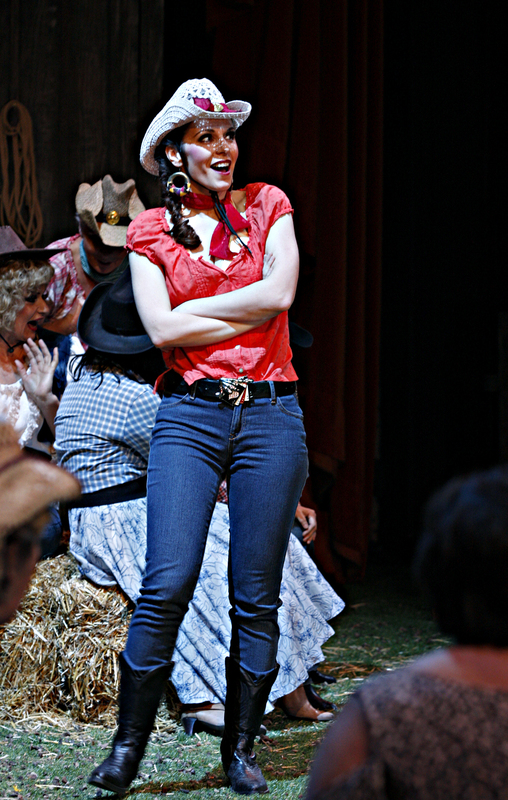 The character is based on an actual ‘Kate’ who, it is also believed, managed to survive. 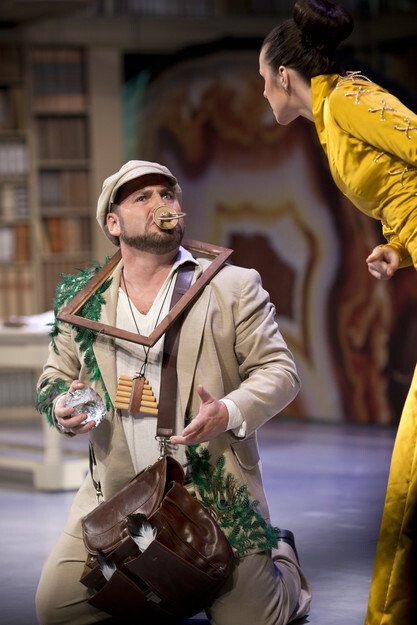 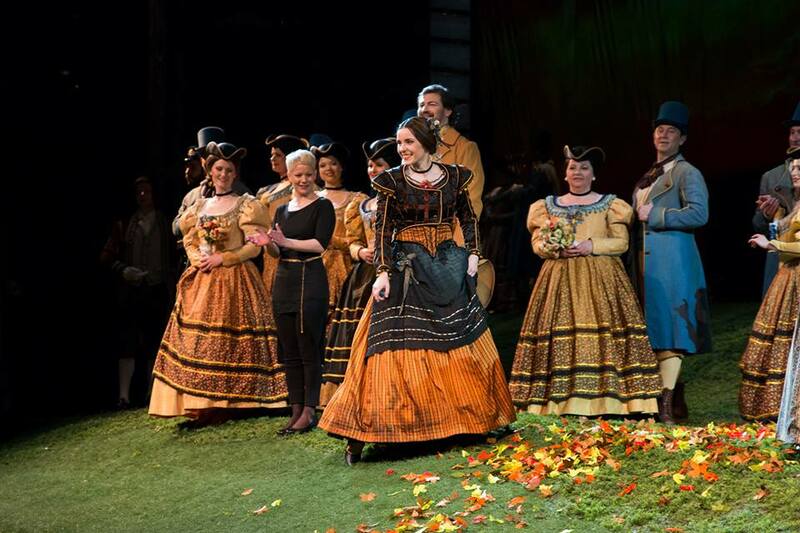 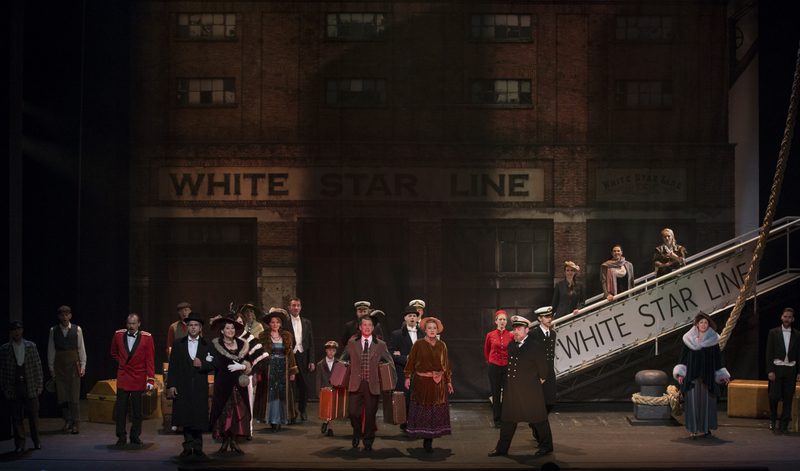 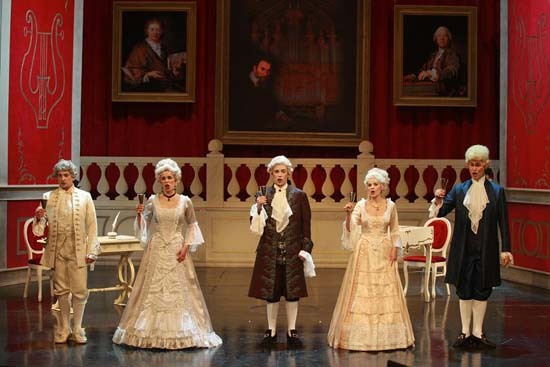 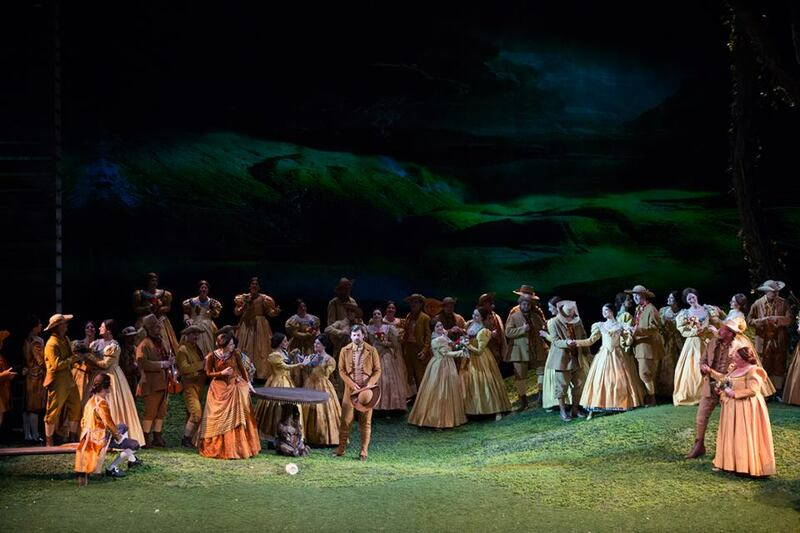 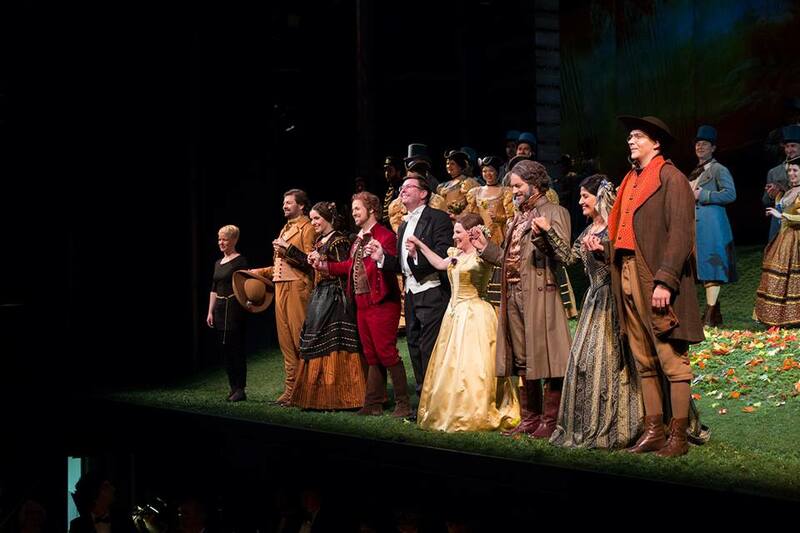 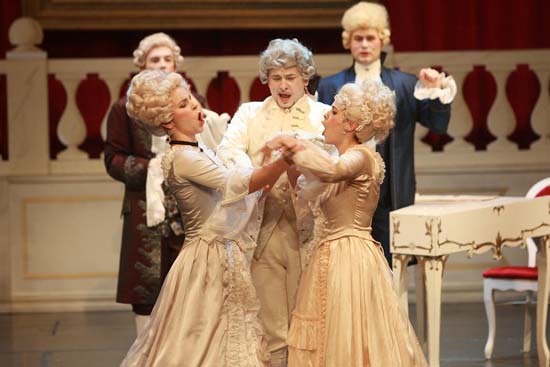 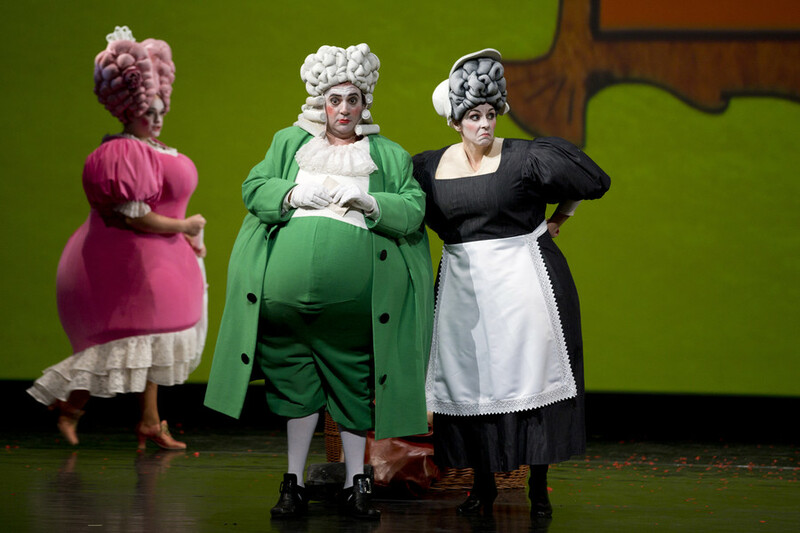 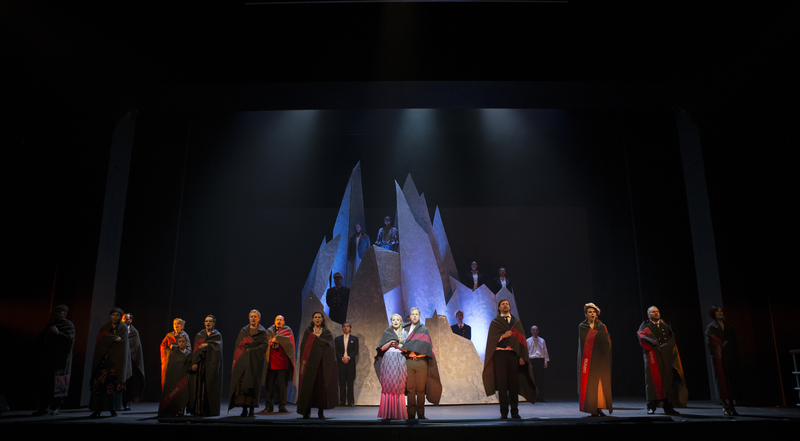 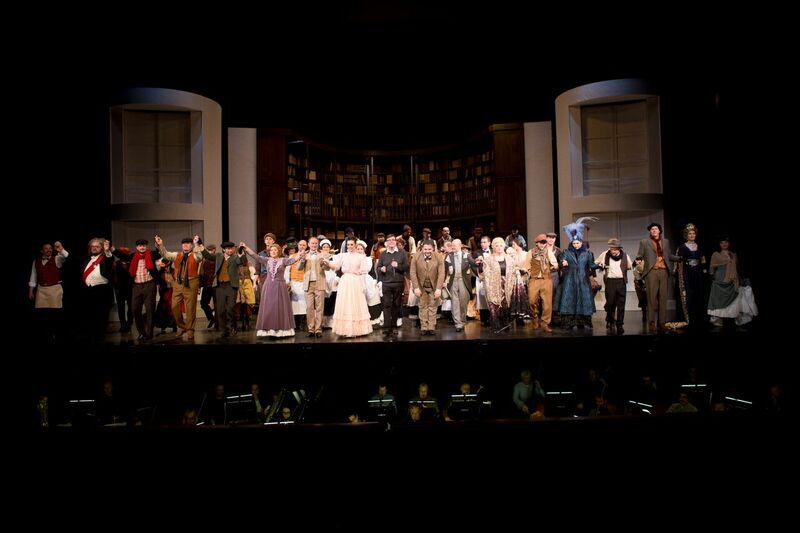 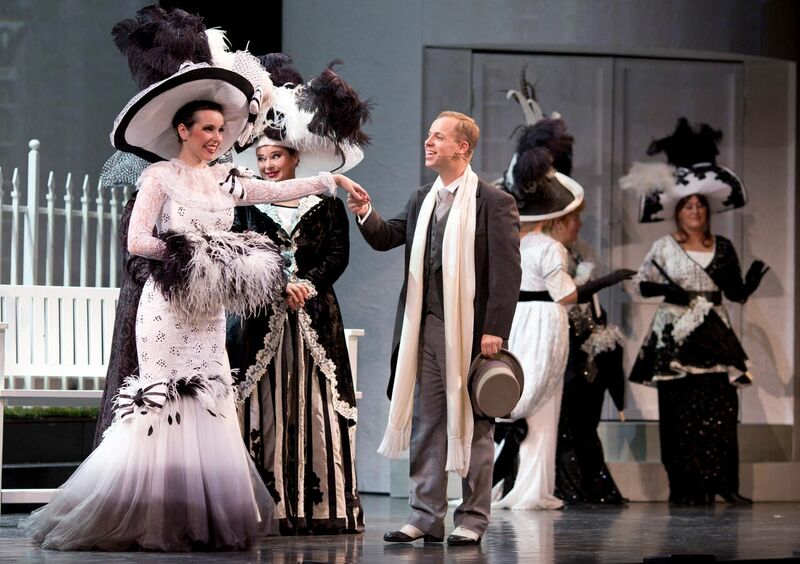 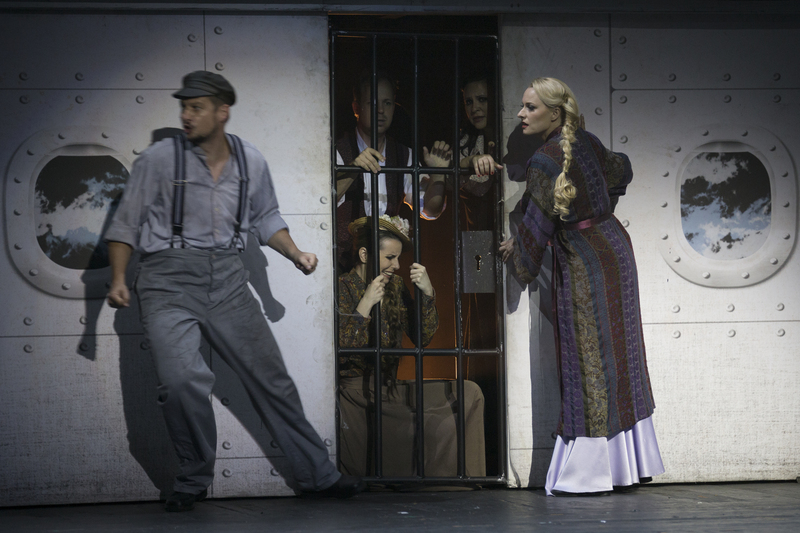 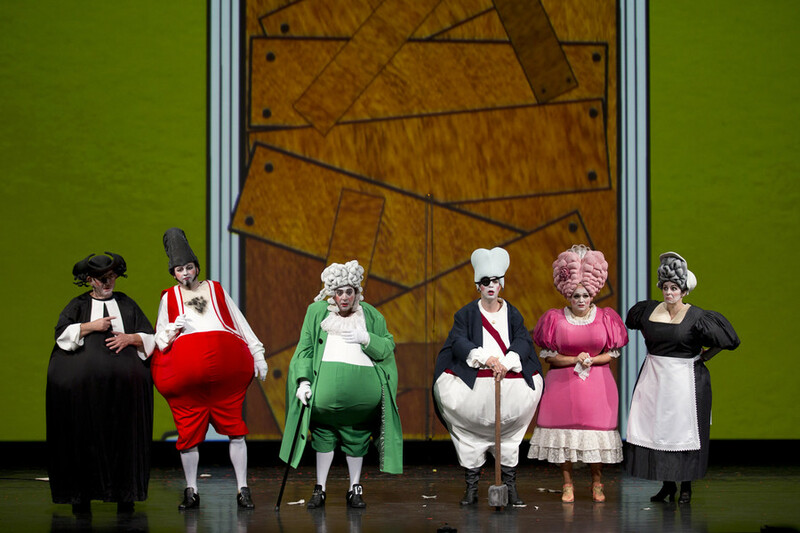 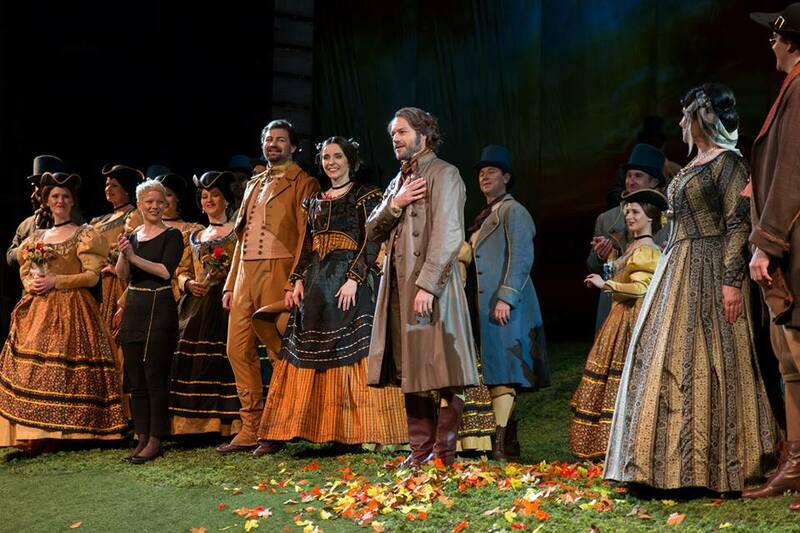 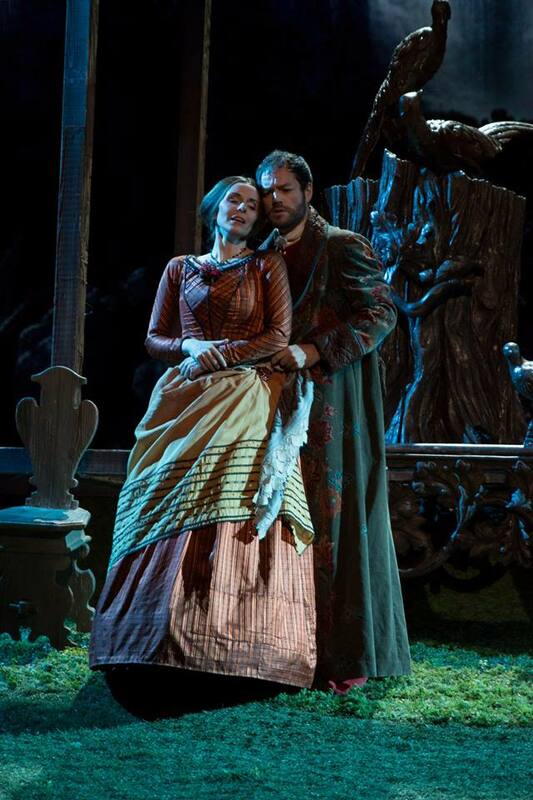 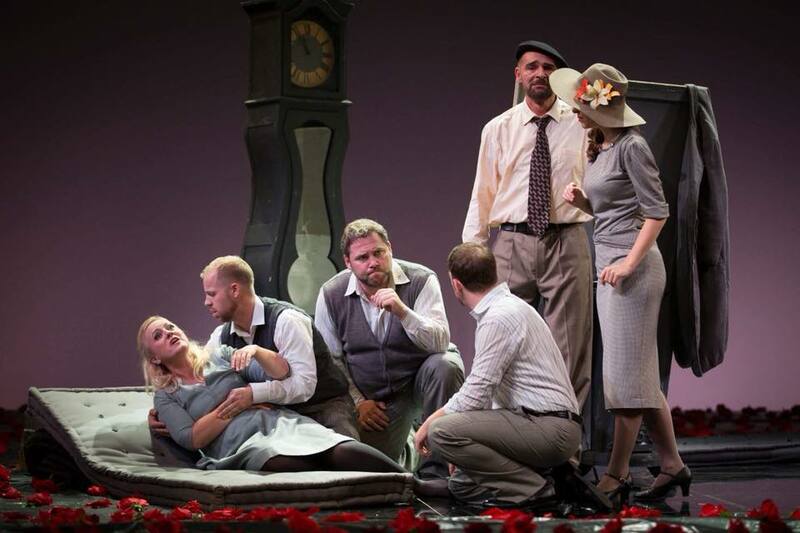 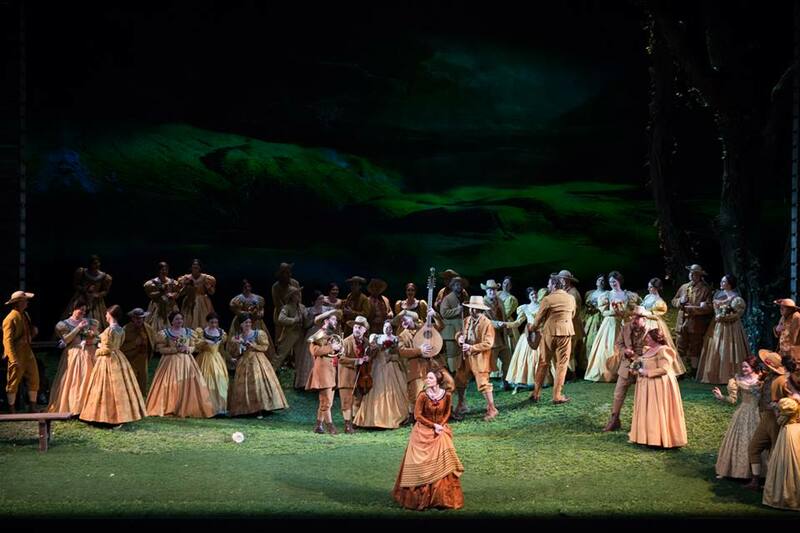 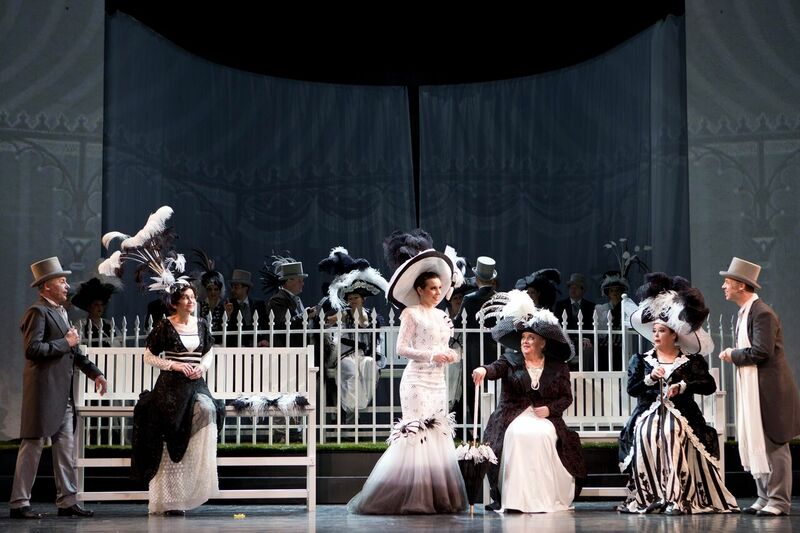 This production was directed by Stanislav Moša under the baton of Maestro Dan Kalousek. 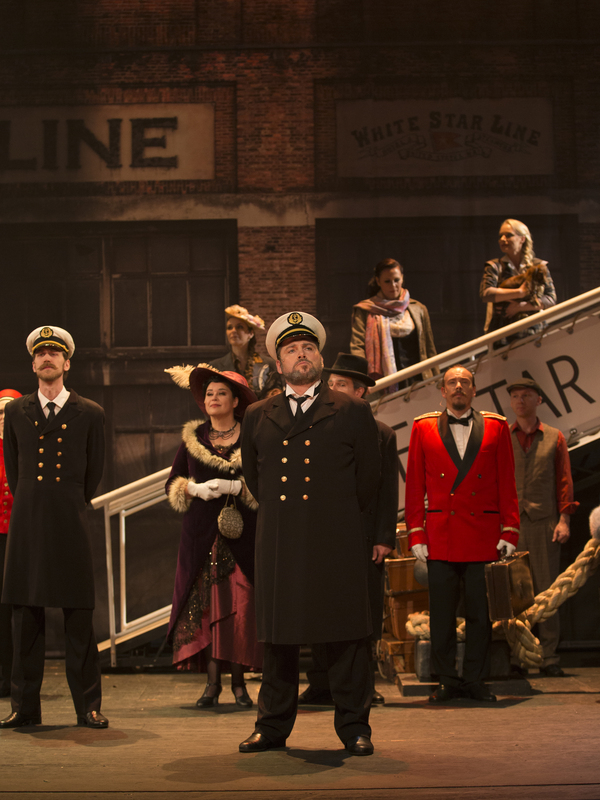 Can't wait to board that ship today! 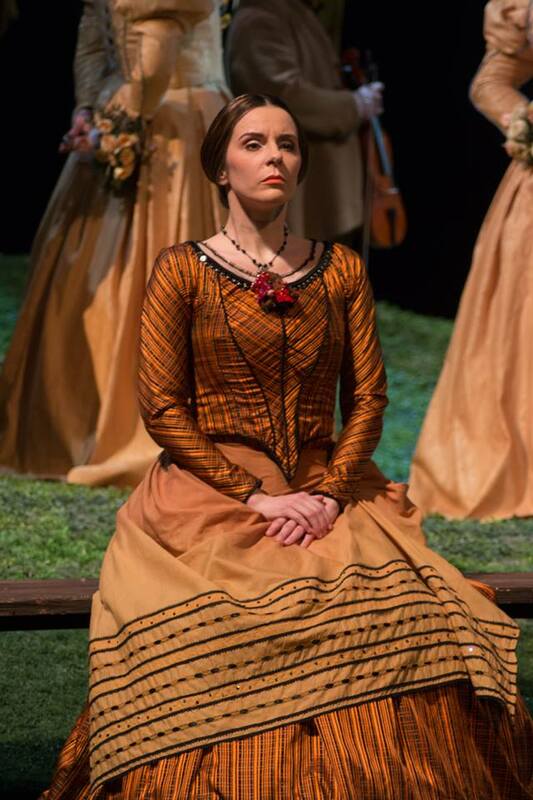 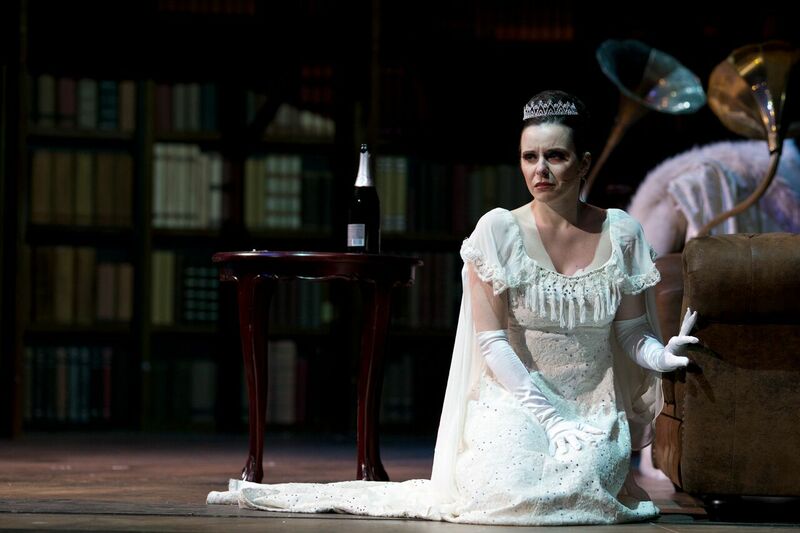 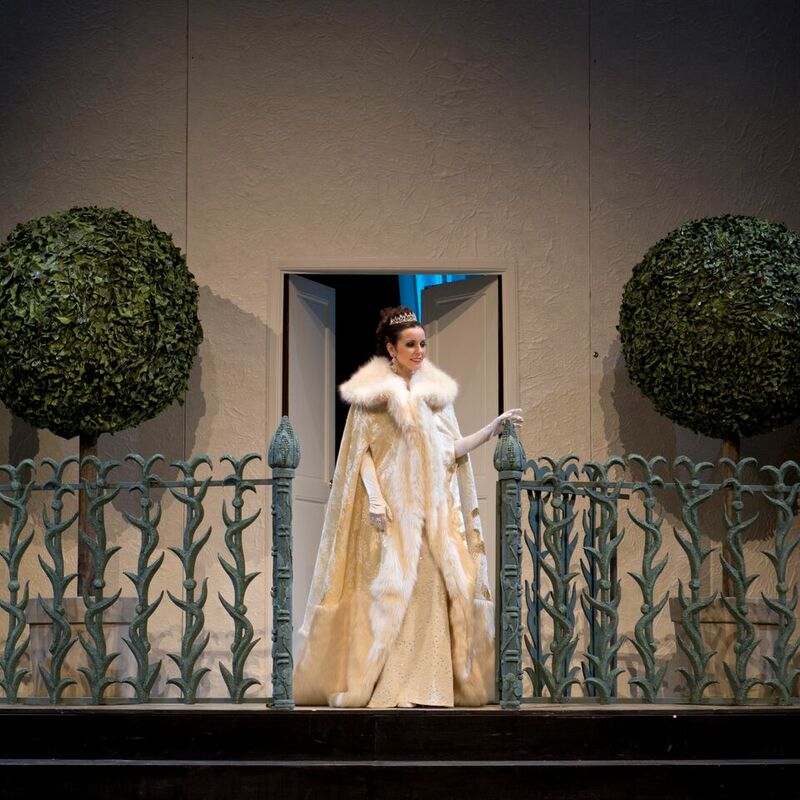 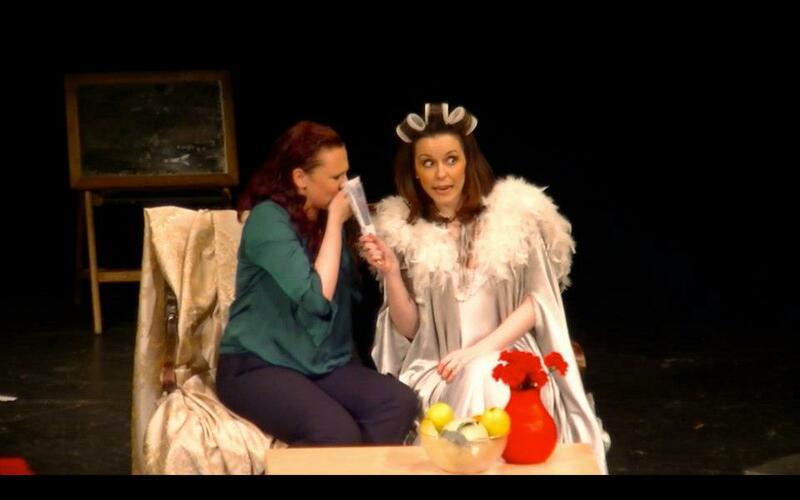 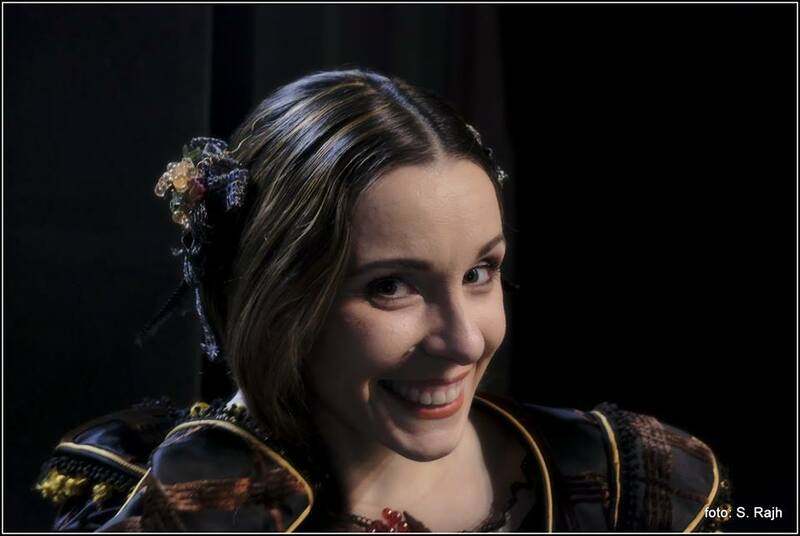 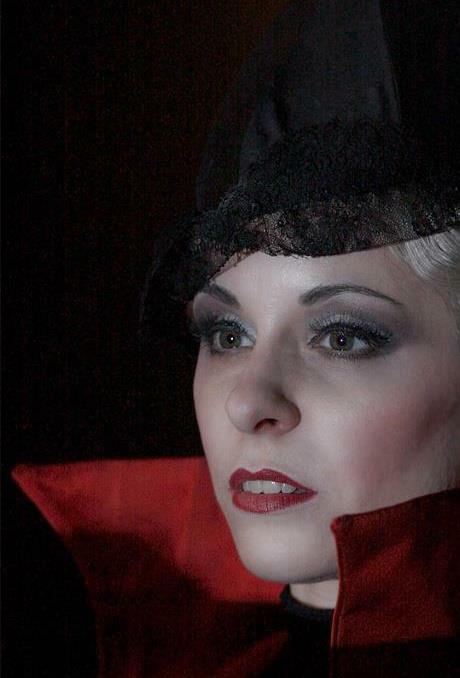 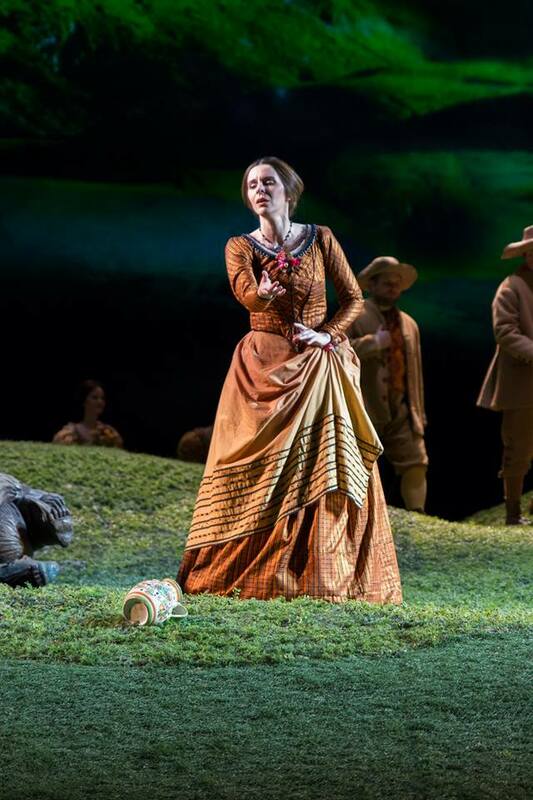 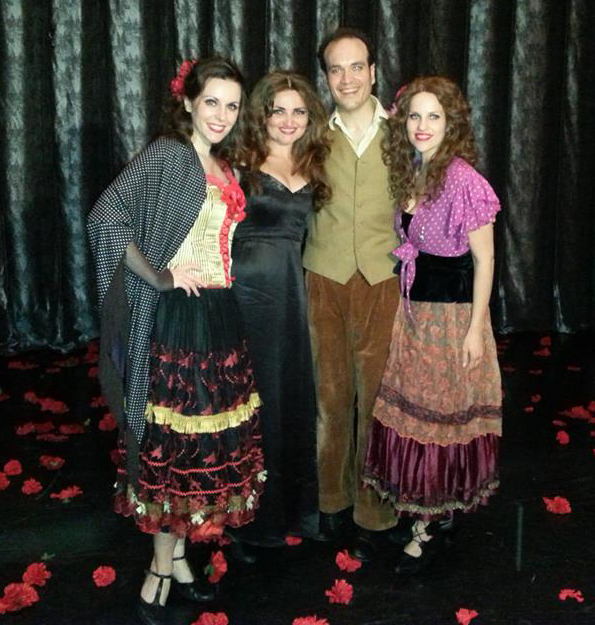 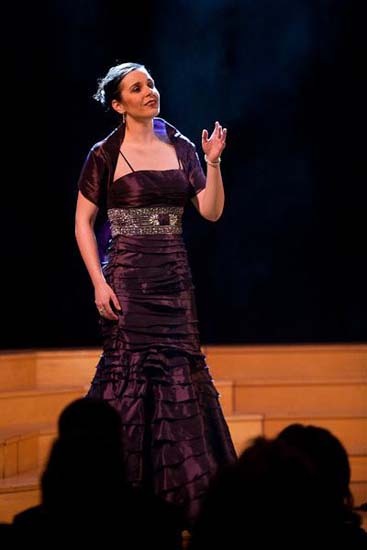 Valentina appears as Lisa in a Hugo de Ana production of ‘La Sonnambula’, a bel canto opera by Vincenzo Bellini. 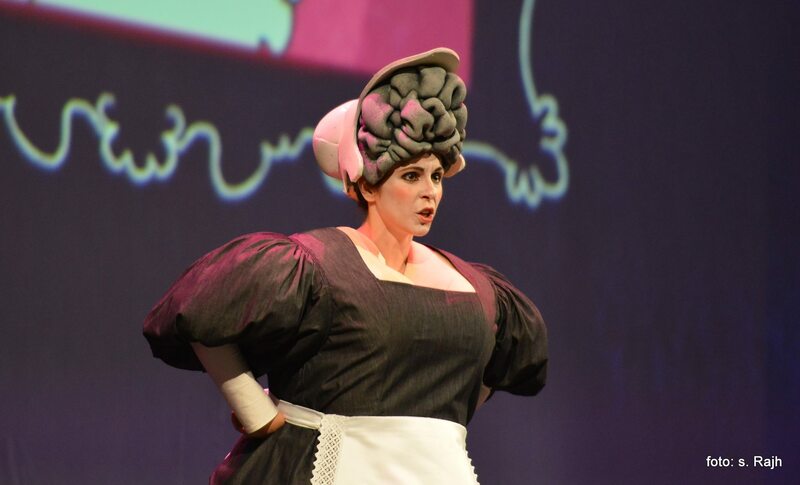 Lisa is the villain in this story, jealous and angry at the world around her. 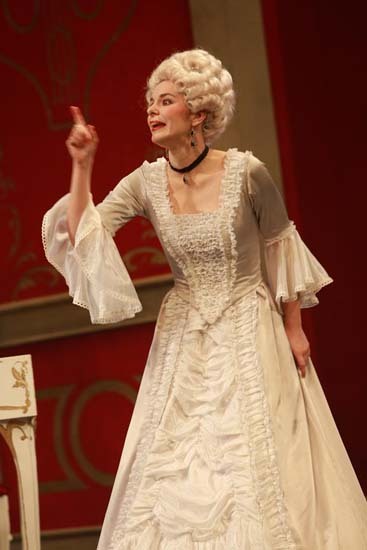 When given an opportunity, she accuses Amina, the heroine, of infidelity, thus snatching away her fiancée Elvino. 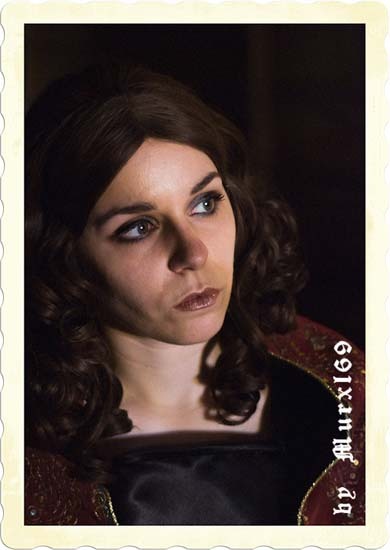 However, her own infidelity comes to light and Lisa is shunned by the entire village, leaving her to bathe in her anger alone. 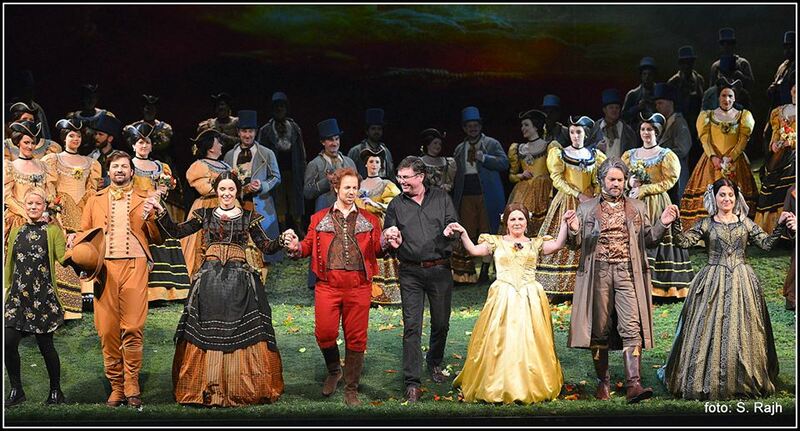 This is a Hugo de Ana production under the baton of Maestro Simon Robinson. 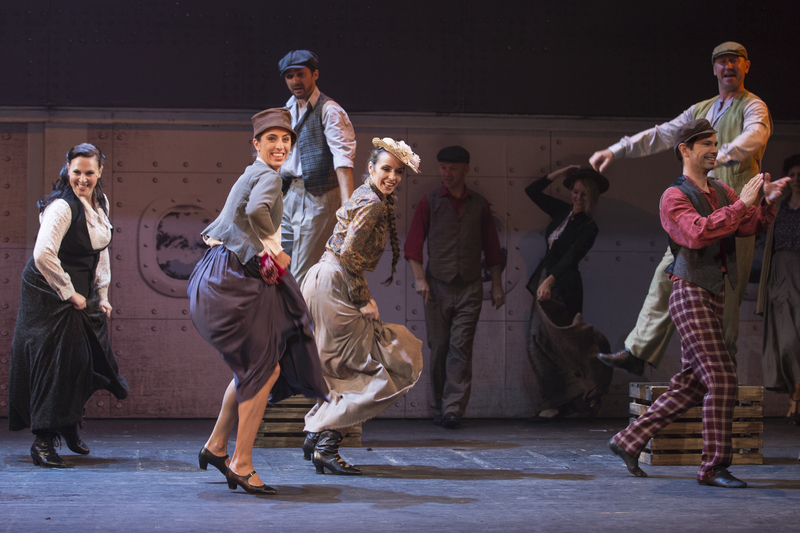 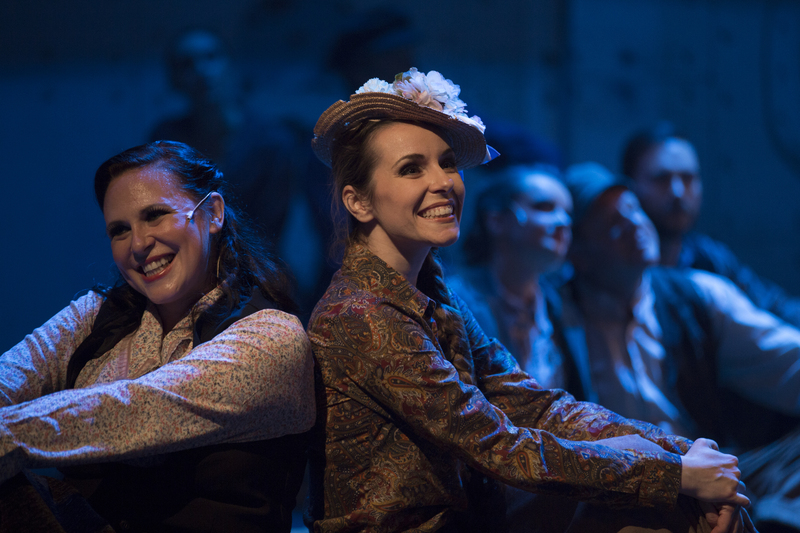 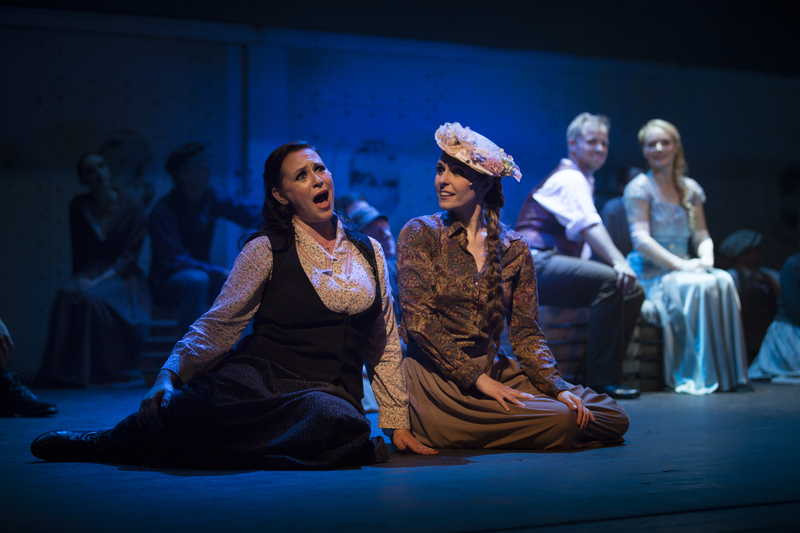 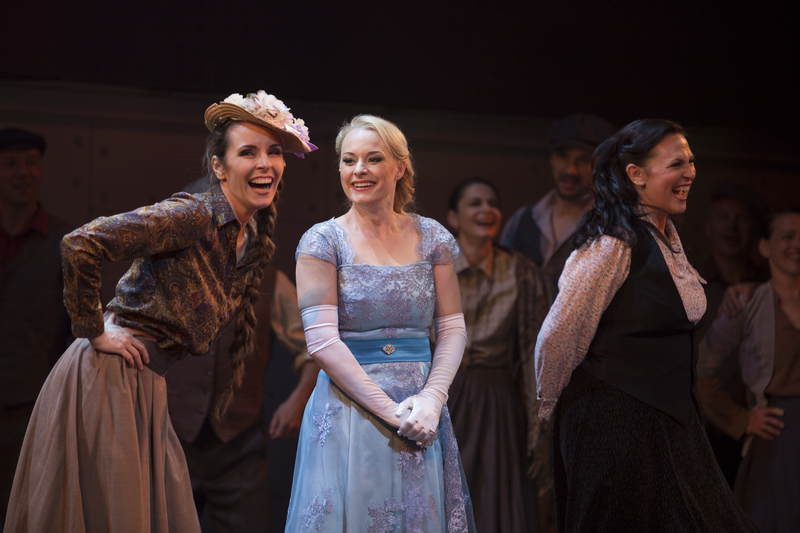 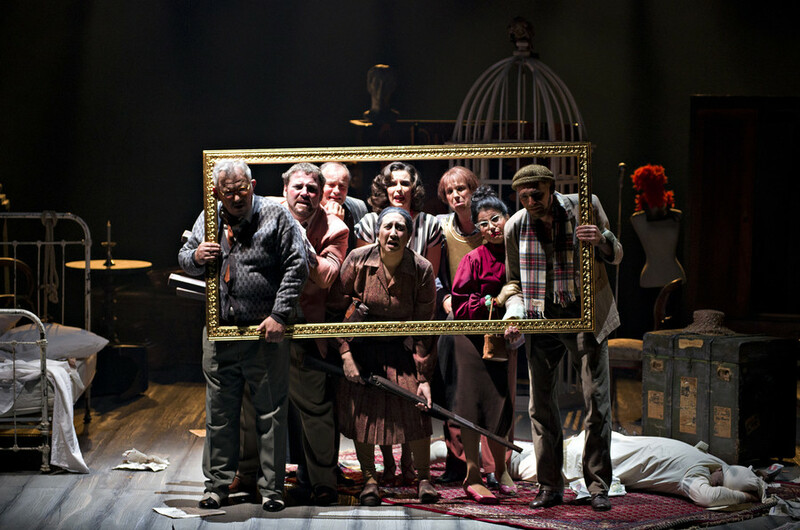 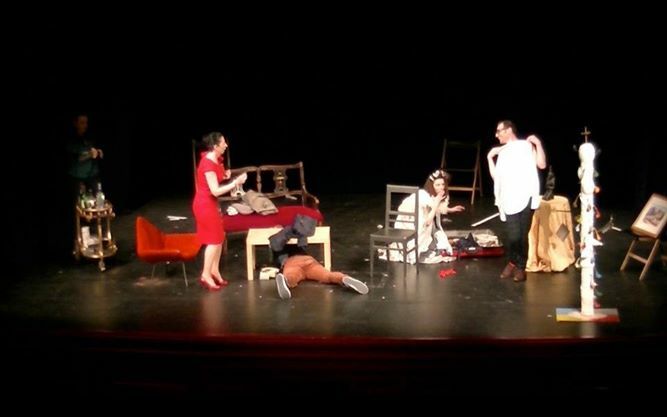 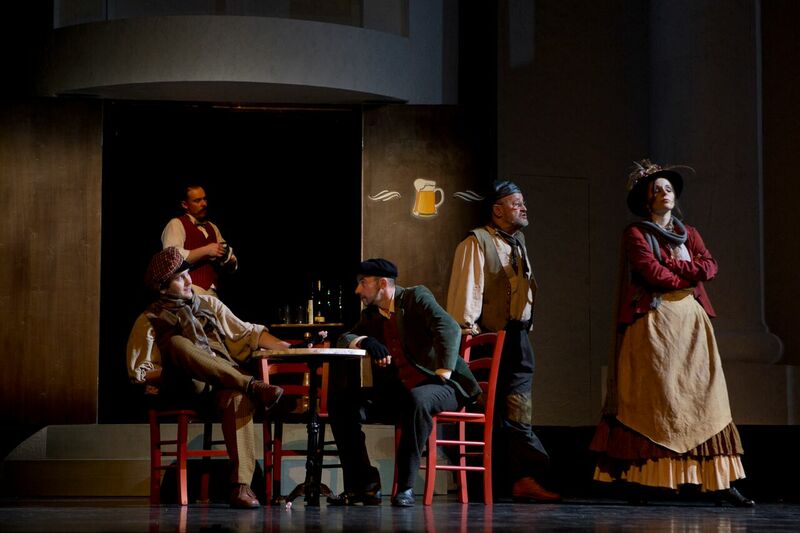 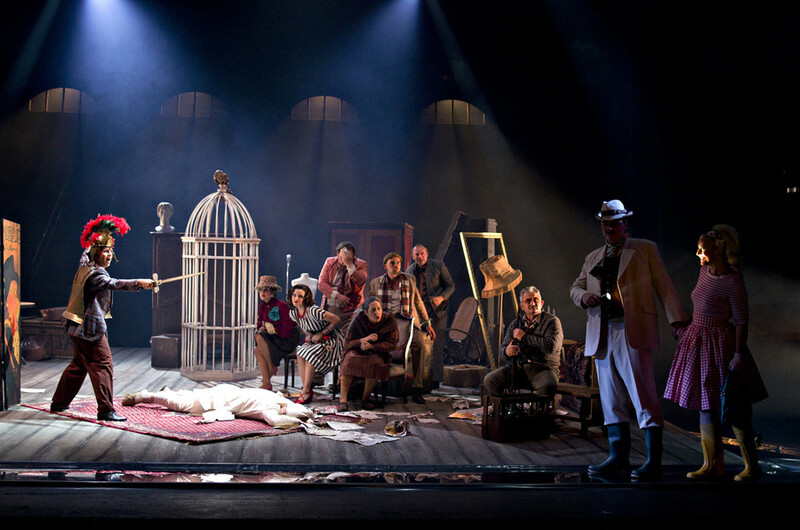 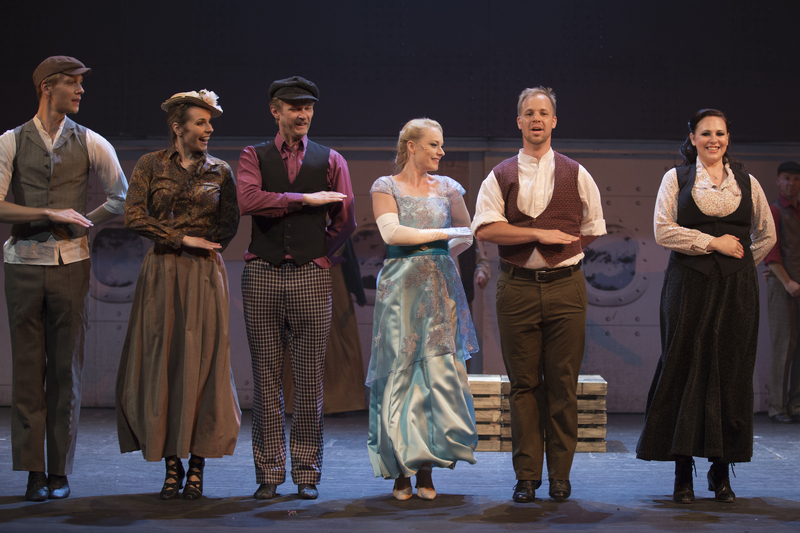 La Boheme tells the story of a group of artist friends dealing with the double-edged sword of life as a ‘starving artist’ in 19th century Paris. 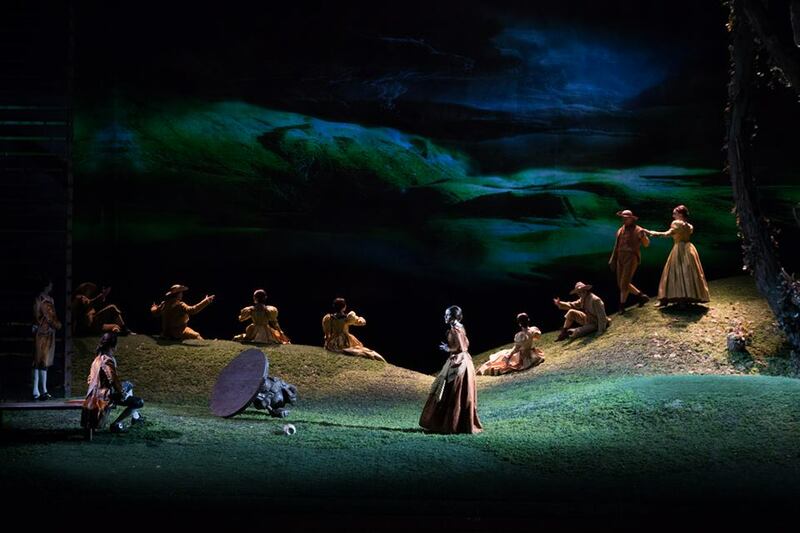 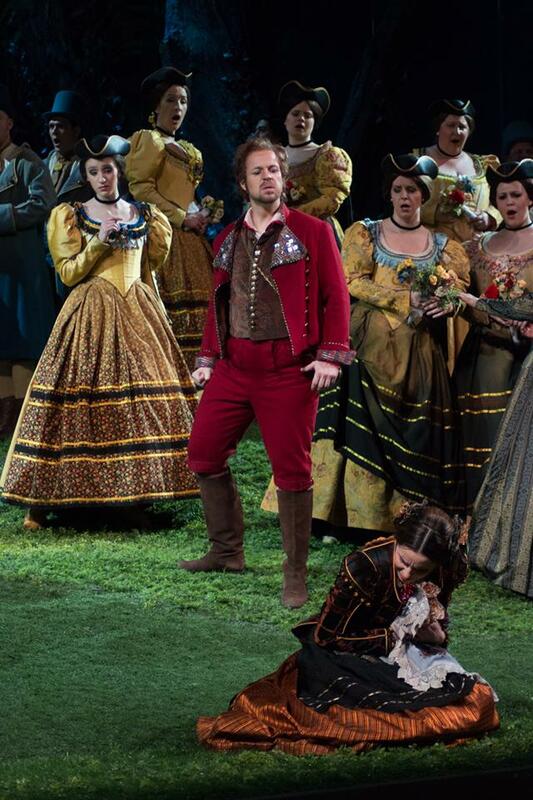 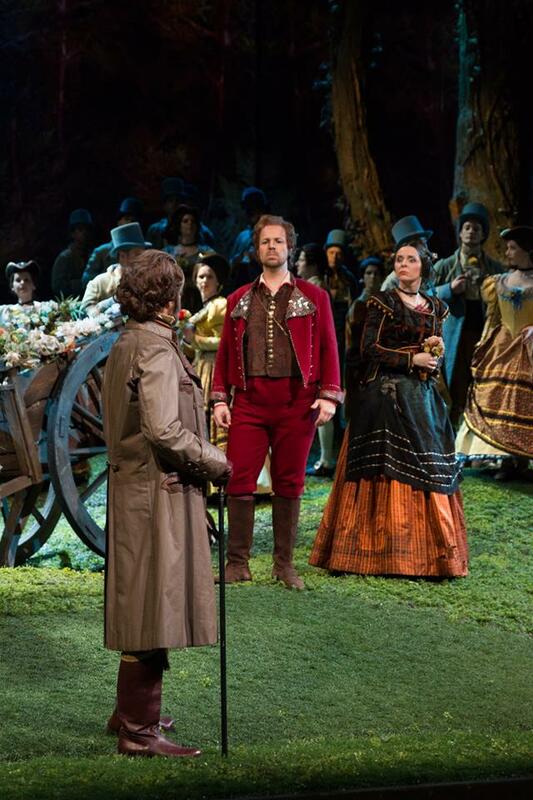 This is an Arnaud Bernard production under the baton of Maestro Francesco Rosa. 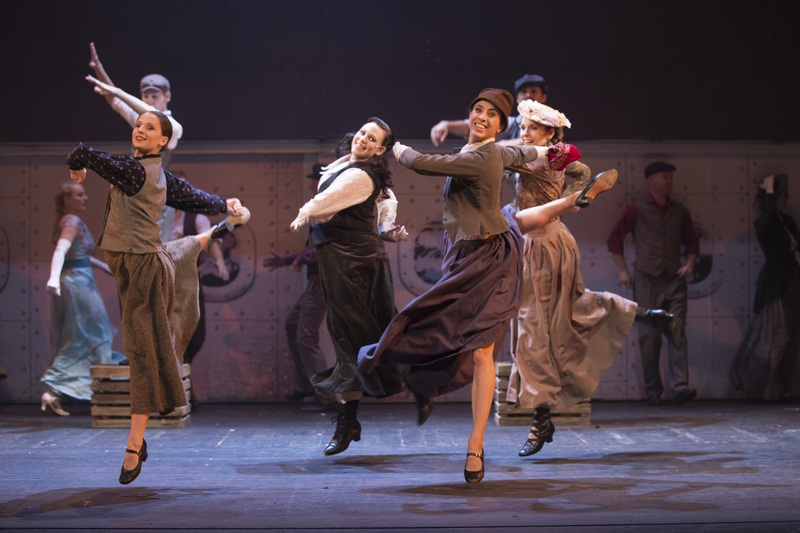 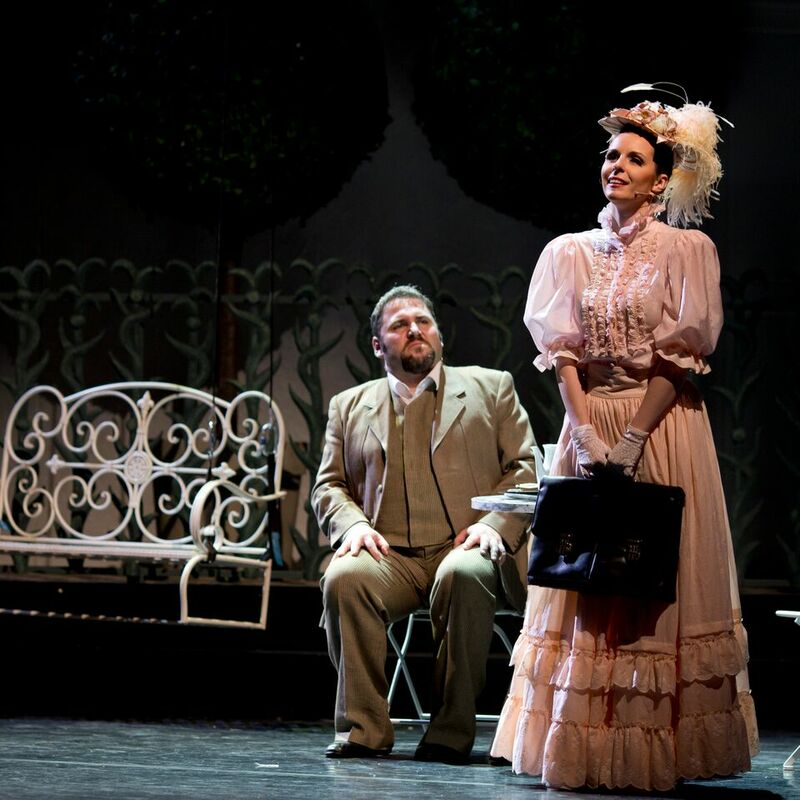 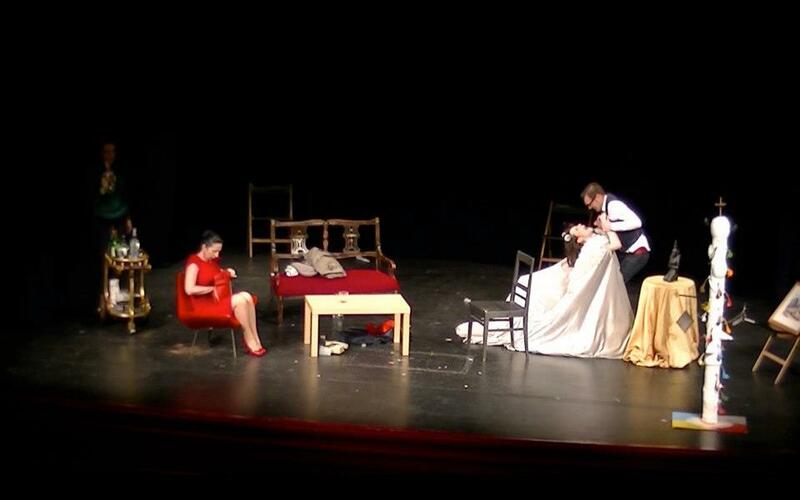 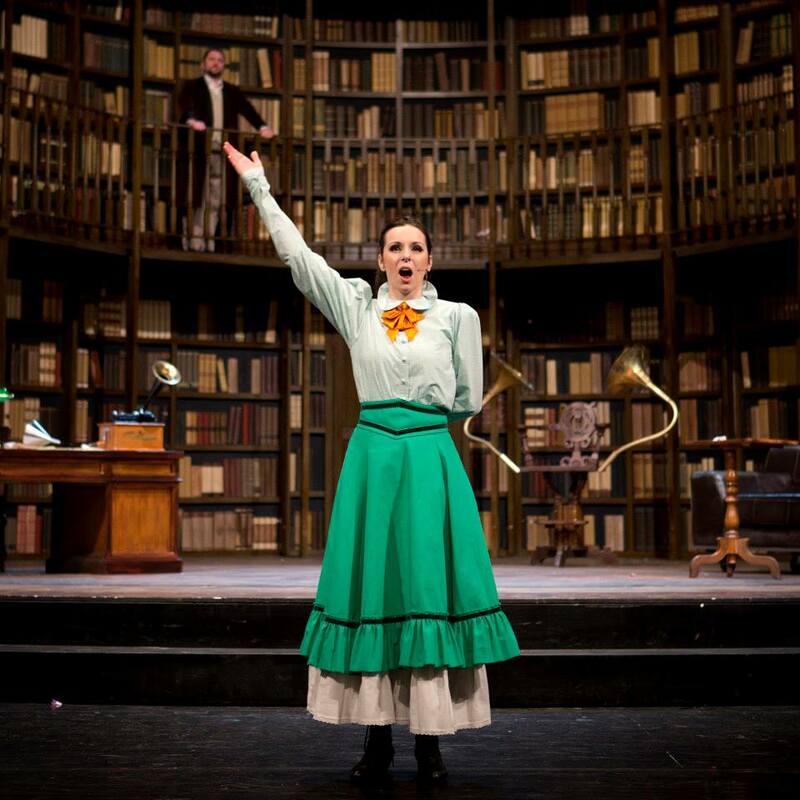 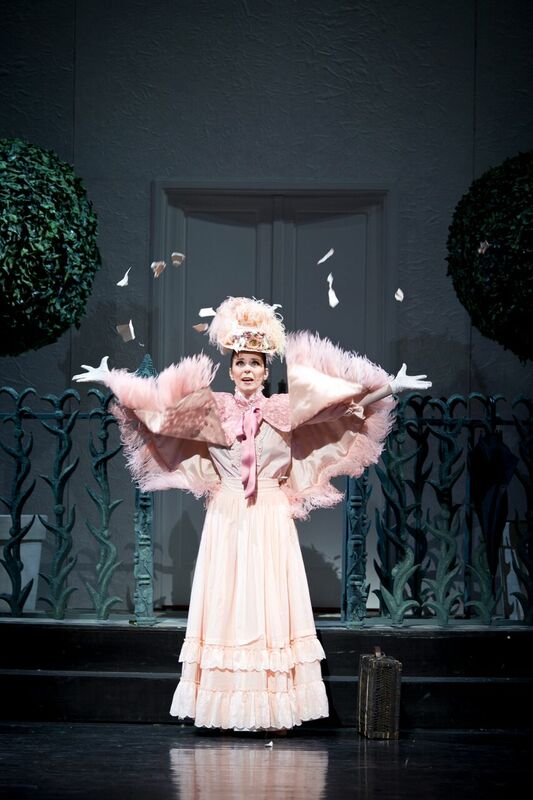 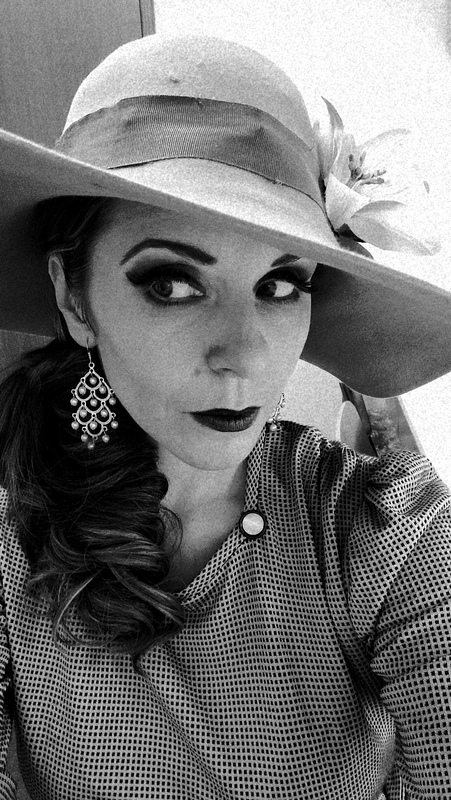 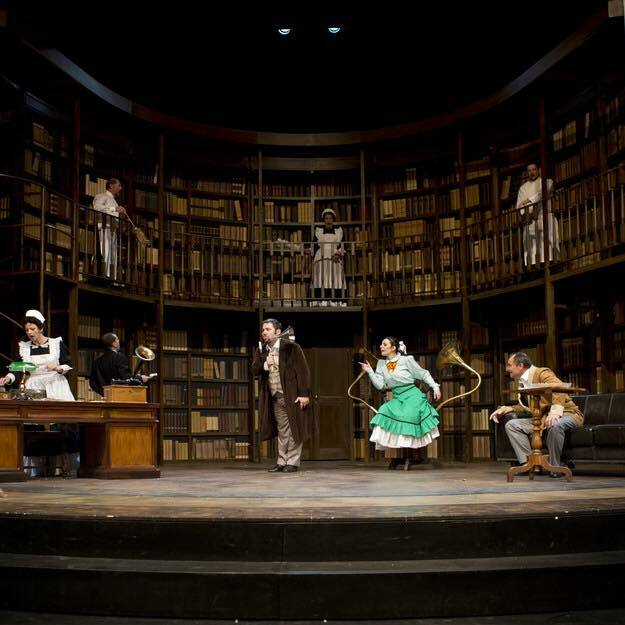 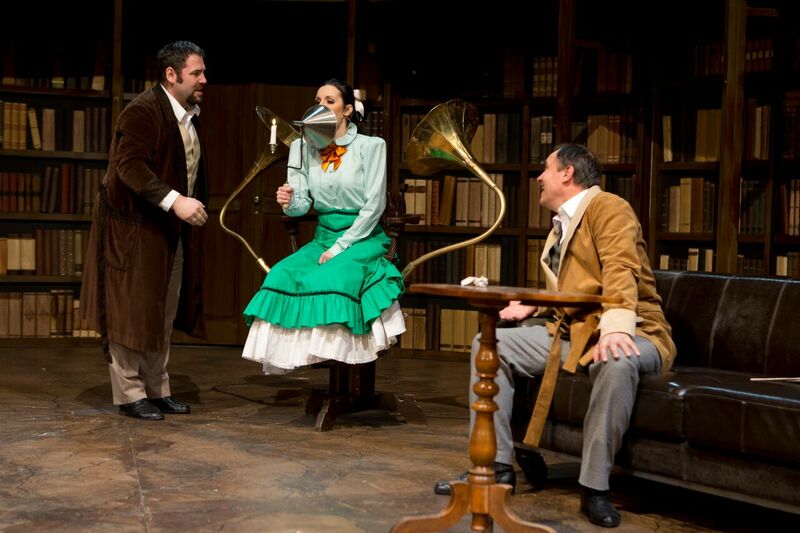 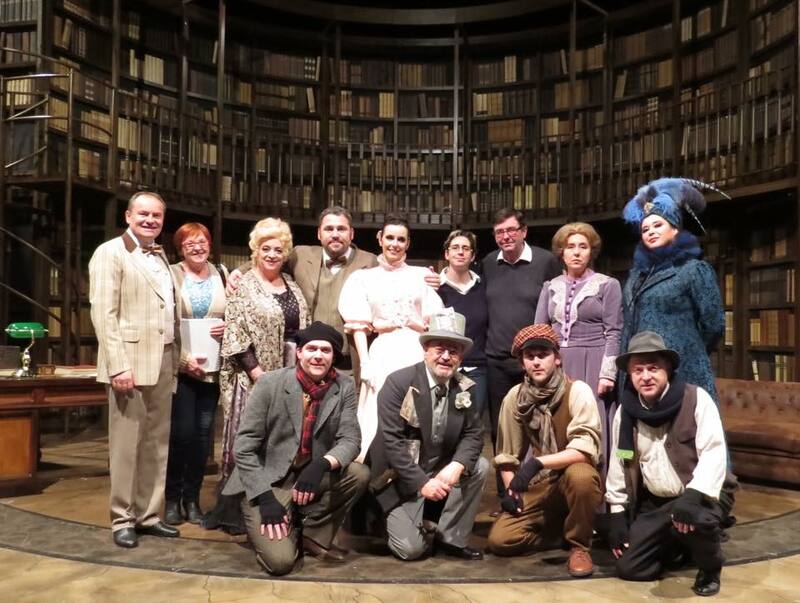 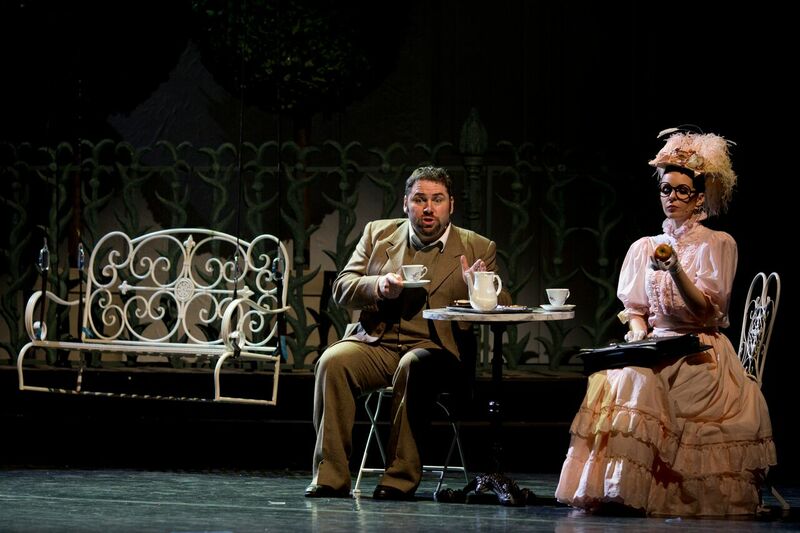 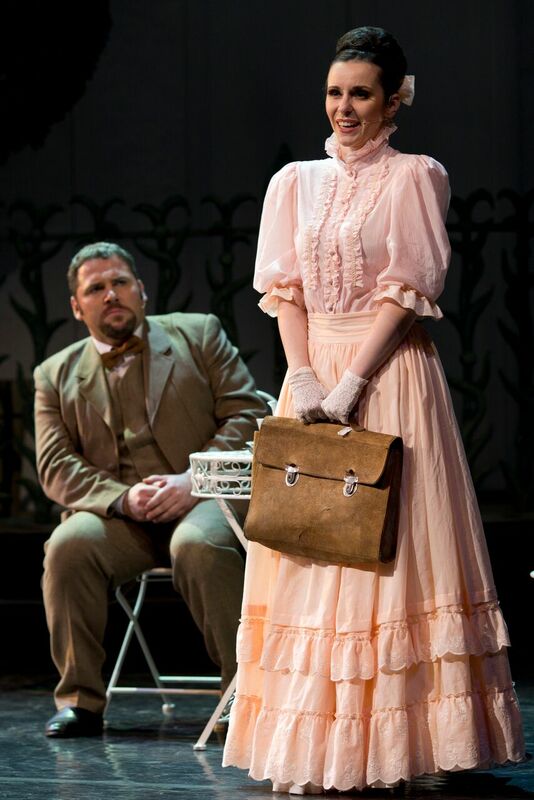 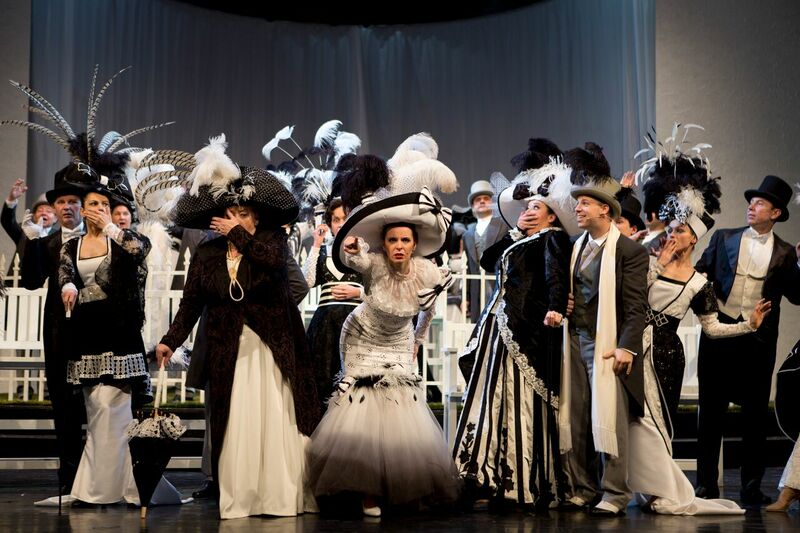 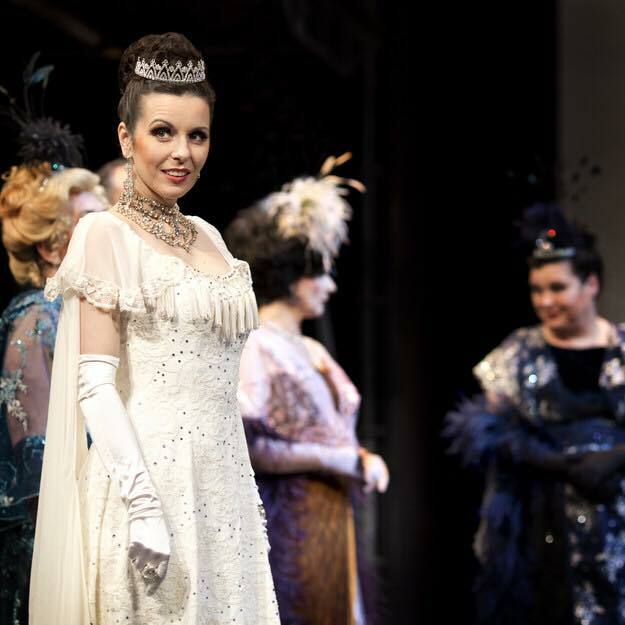 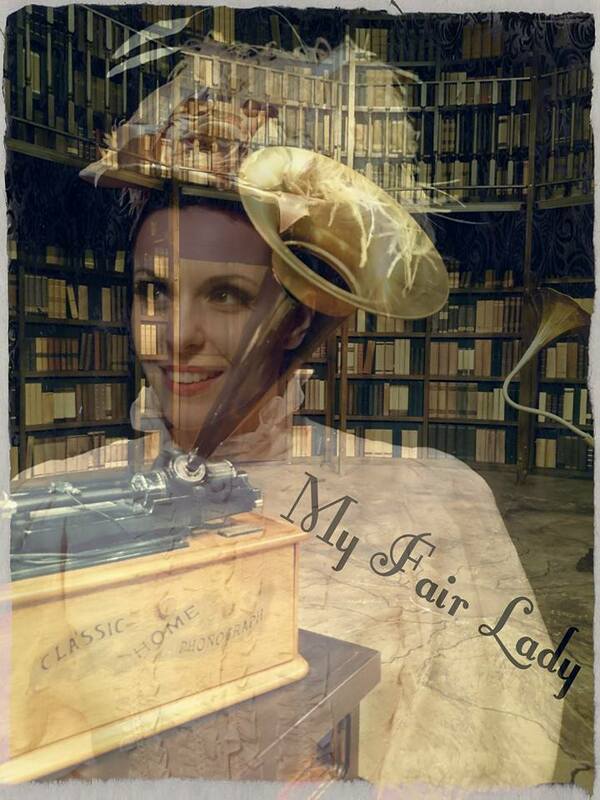 Valentina appears as Eliza Doolittle in SNG Maribor’s production of My Fair Lady, a well-known story about how an uneducated but smart girl, living on the streets of London, becomes a lady in the sophisticated, upper-class world of English society. 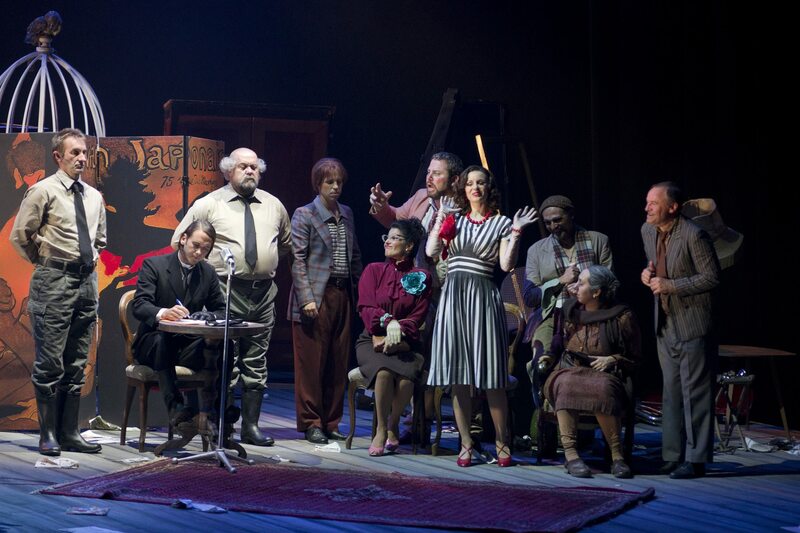 The show was directed by Paul-Emile Fourny under the baton of Maestro Simon Robinson. 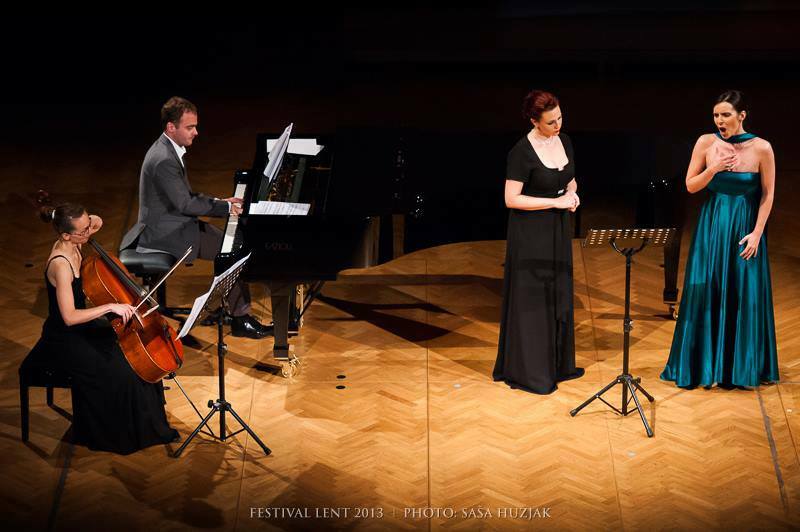 Photos courtesy of SNG Maribor. 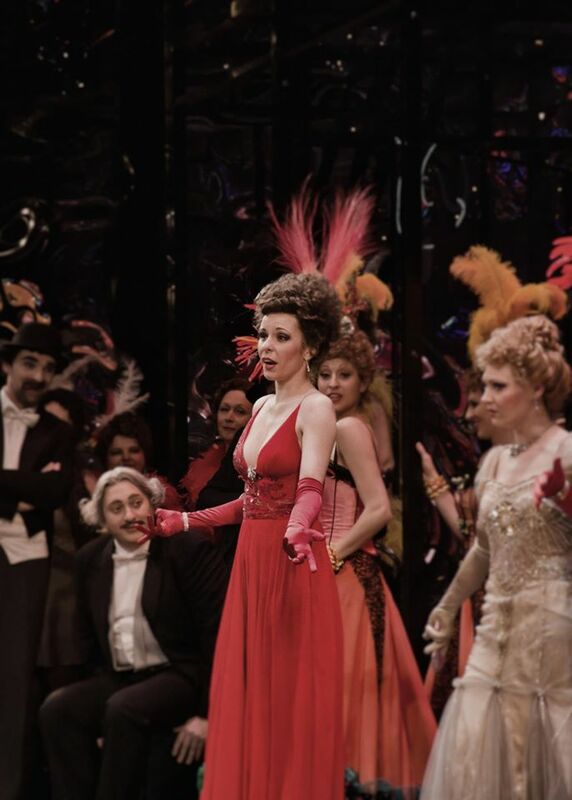 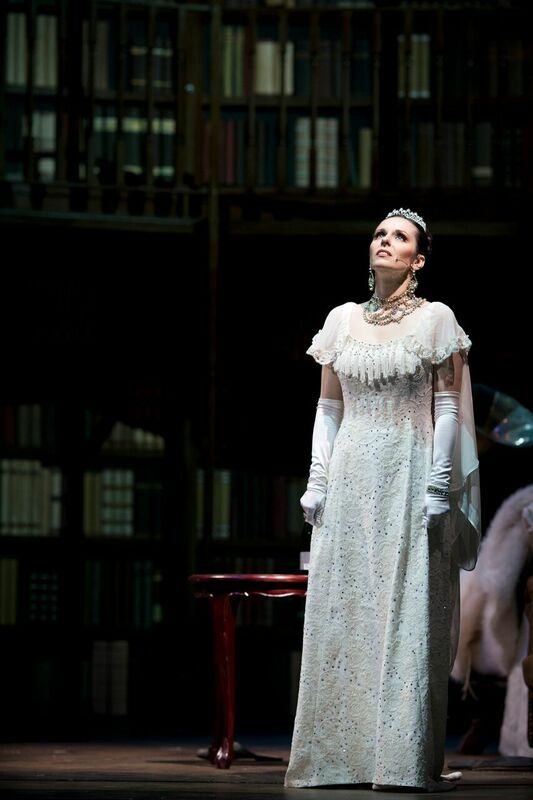 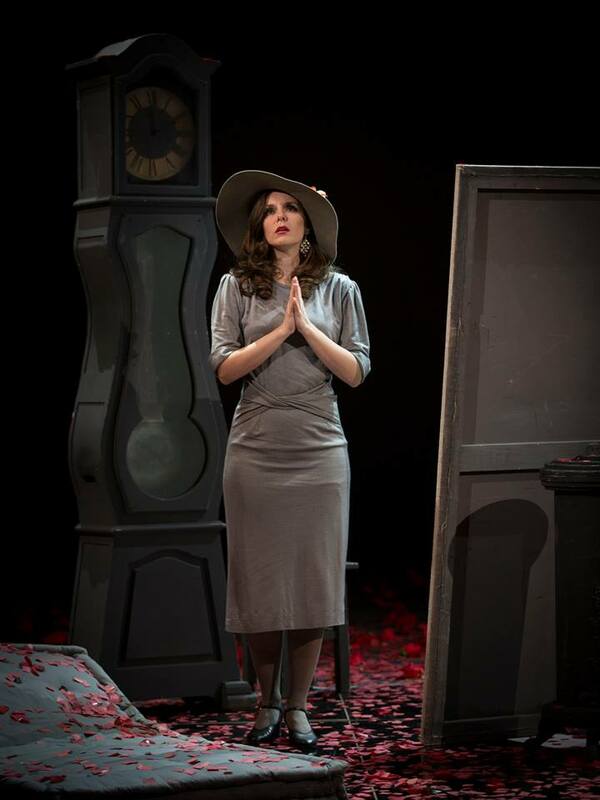 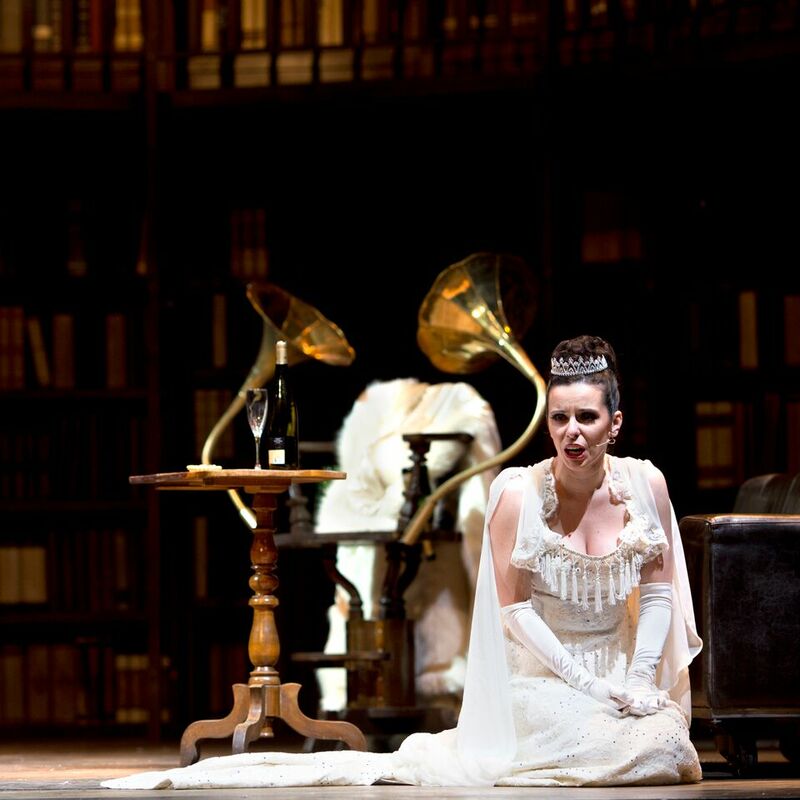 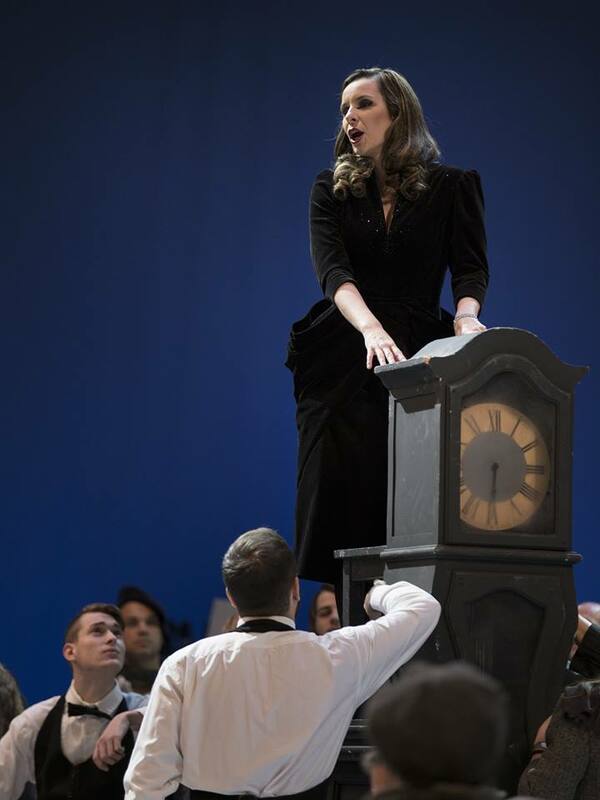 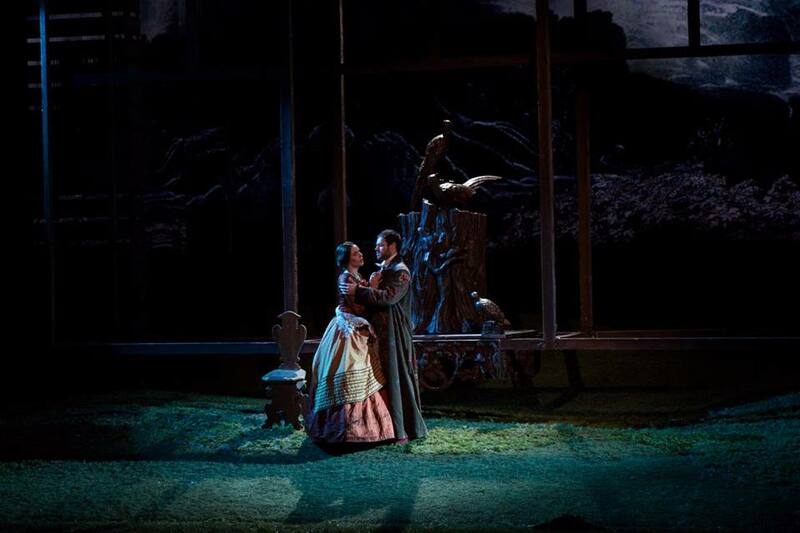 Valentina sings Amore, the god of love, who directs all the events occurring on stage, as was the vision of director Krešimir Dolenčič. 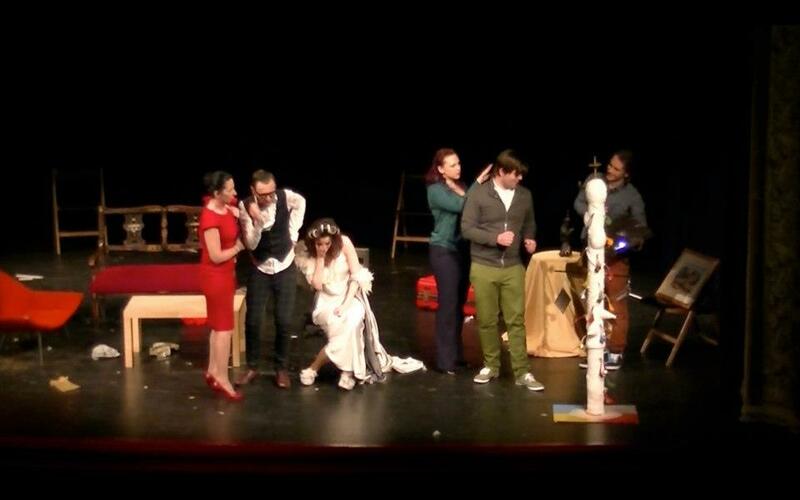 Amore might be young and small but he is the most powerful god and proves in the end that love always wins. 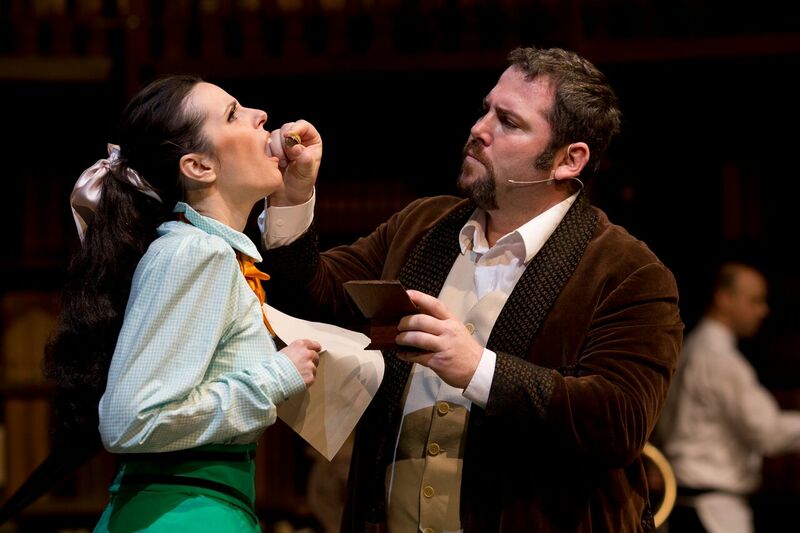 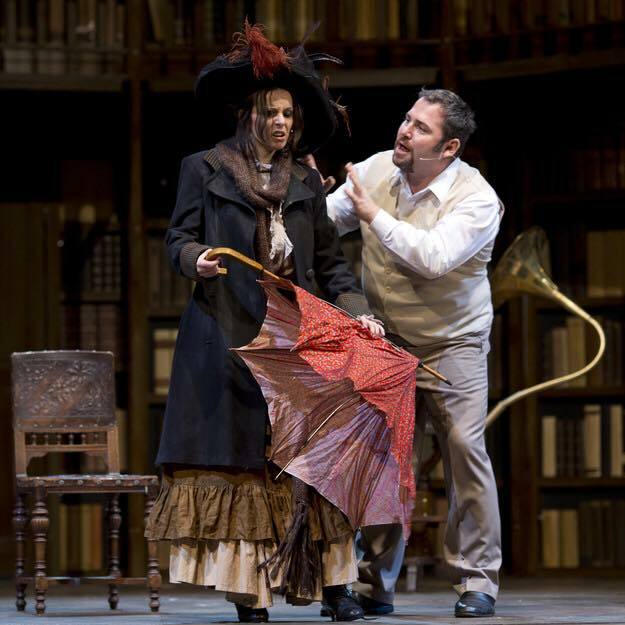 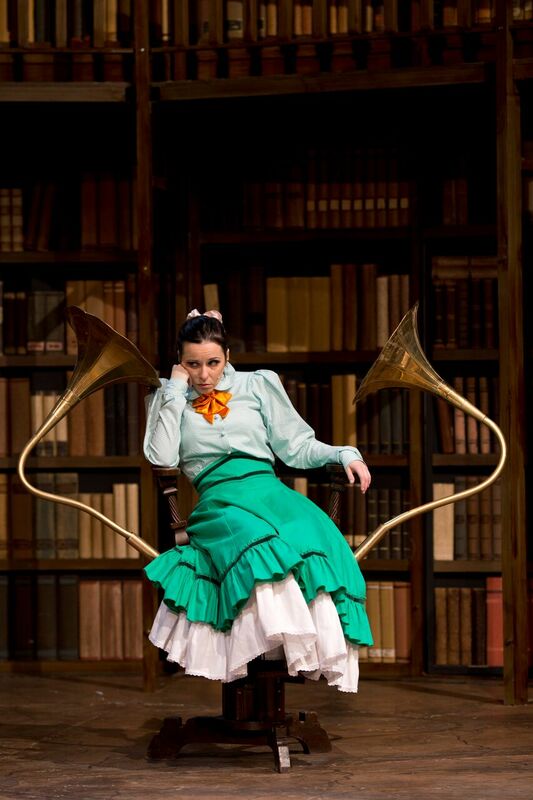 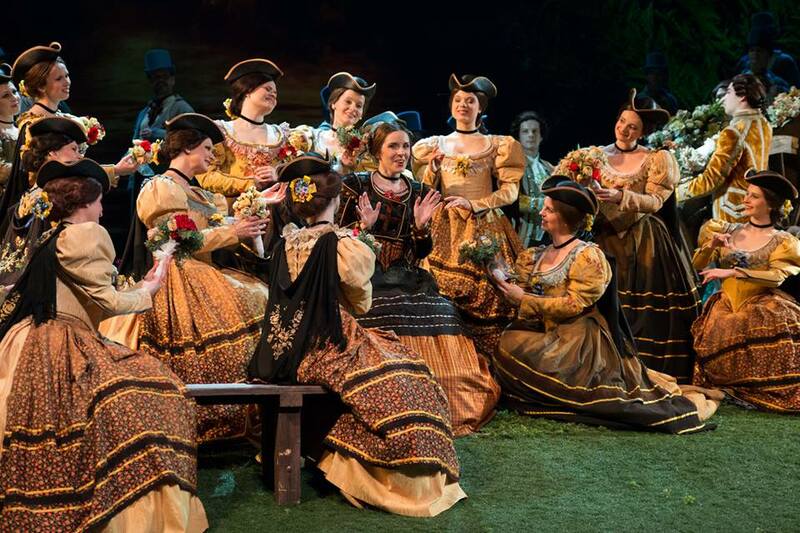 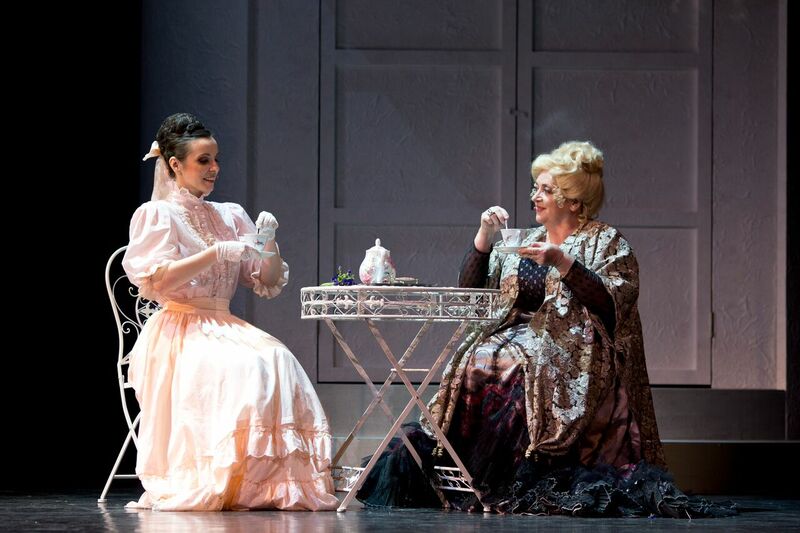 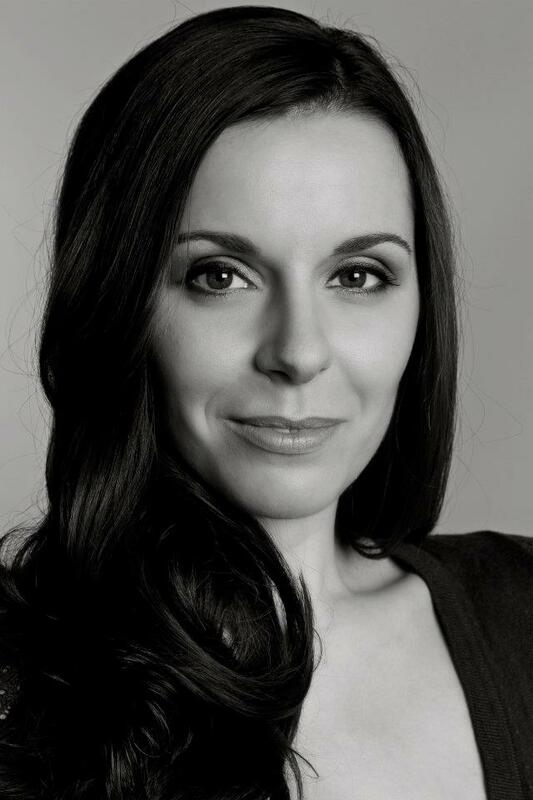 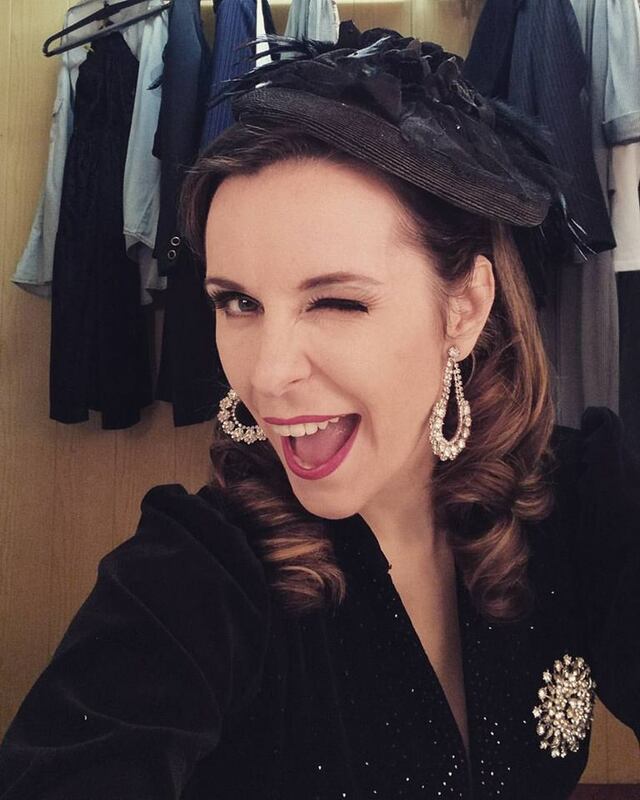 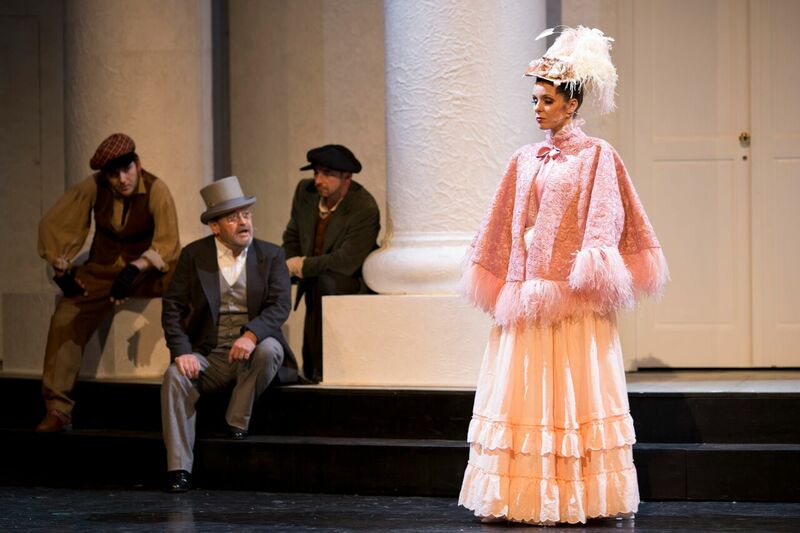 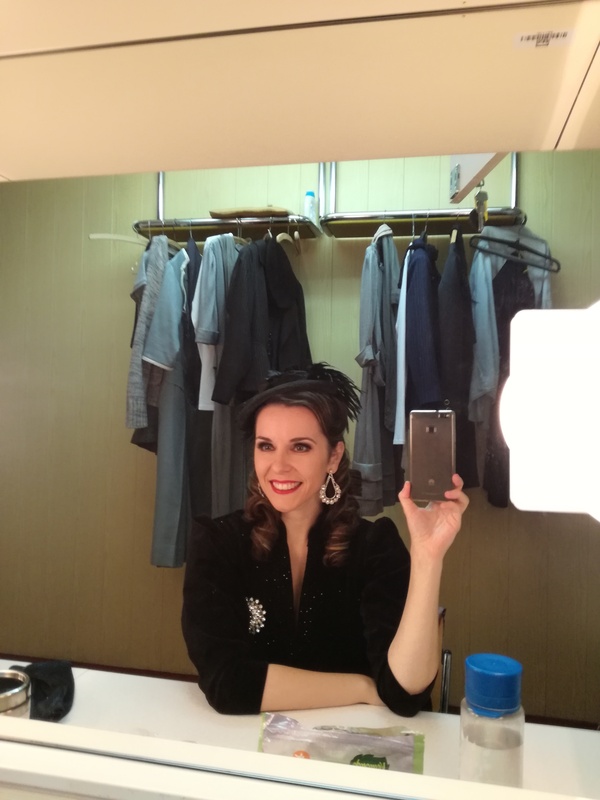 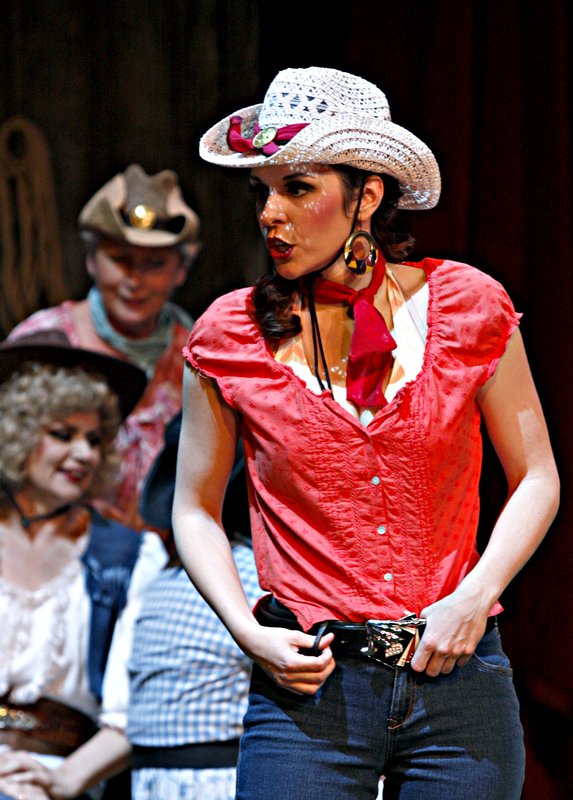 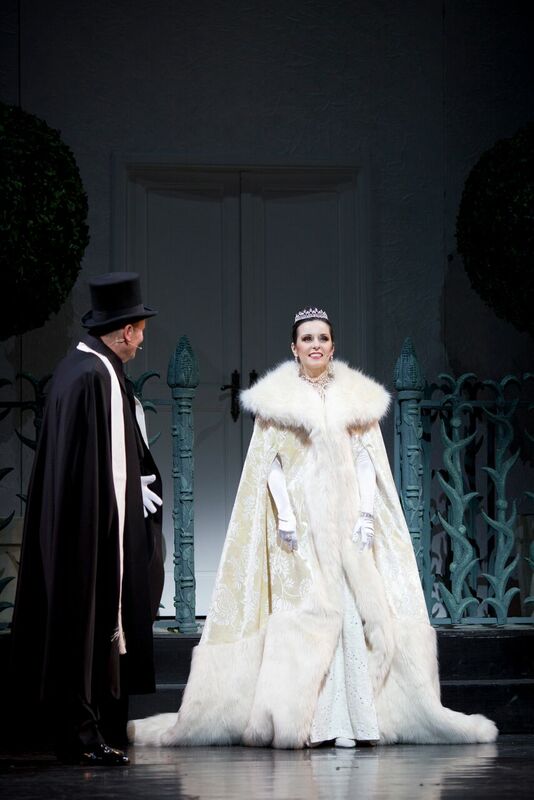 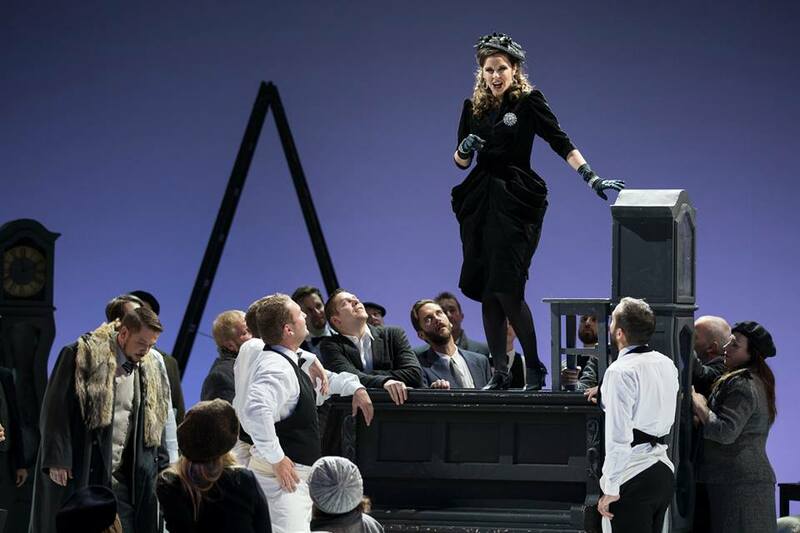 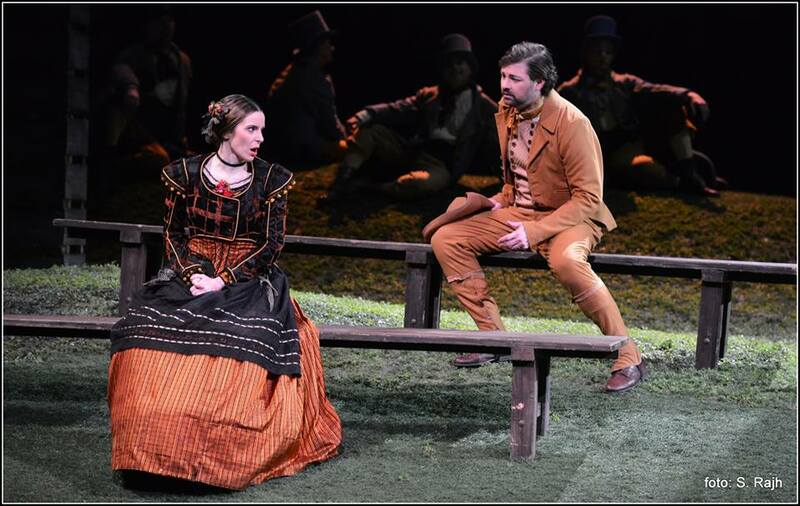 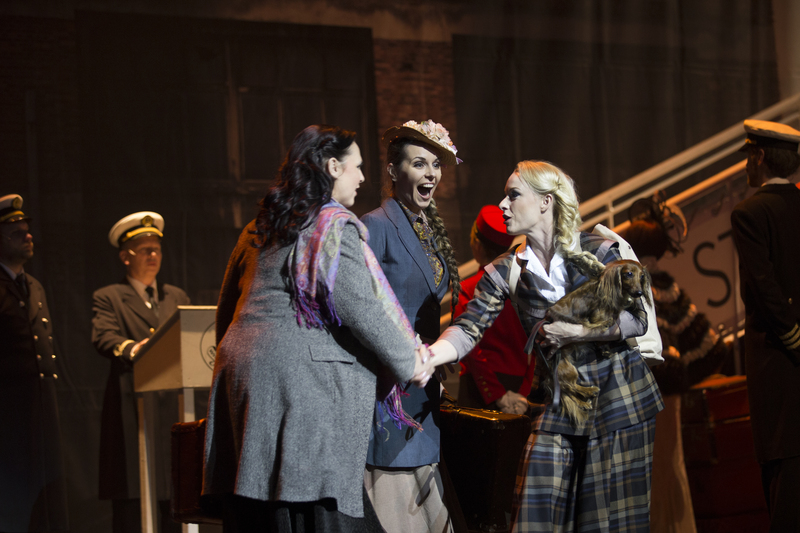 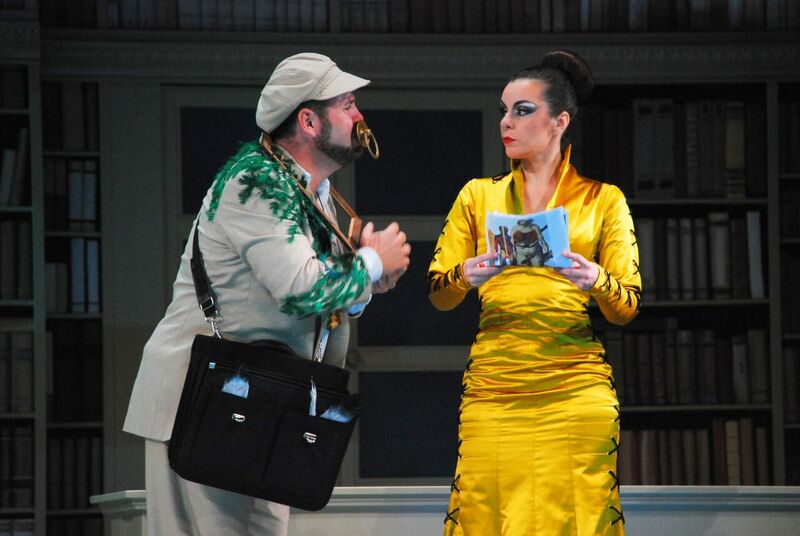 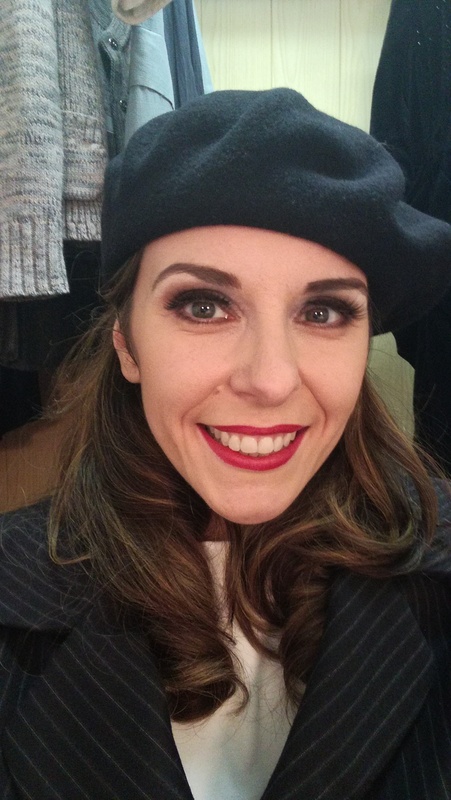 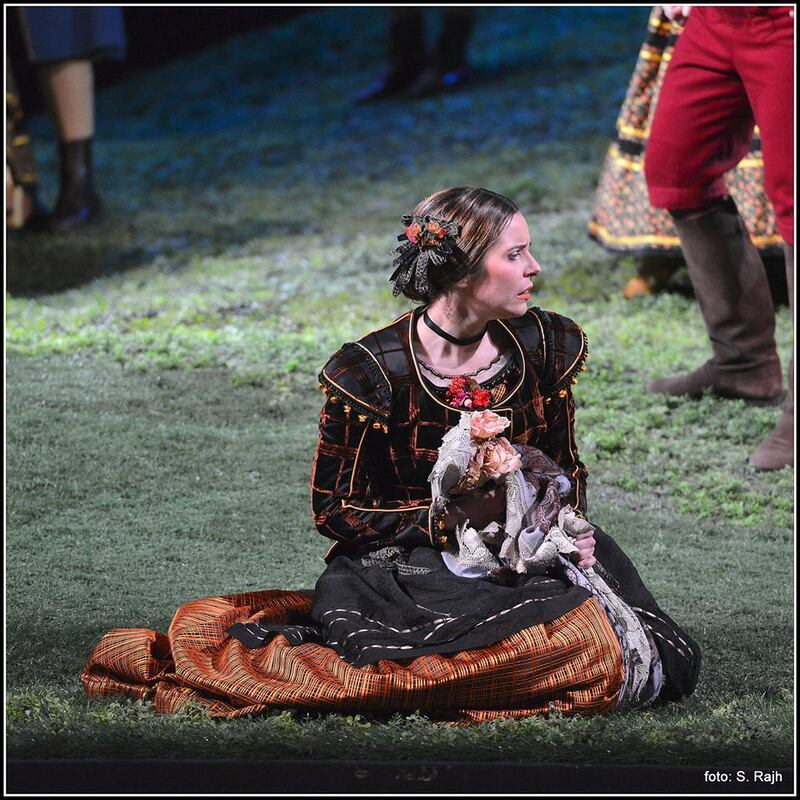 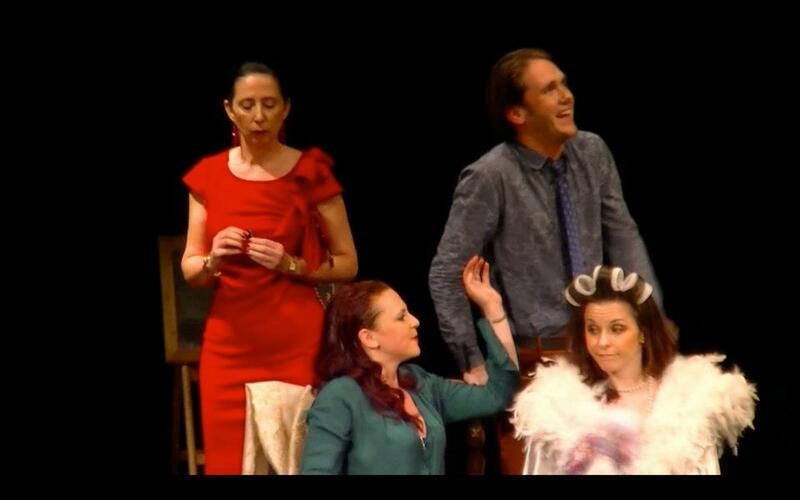 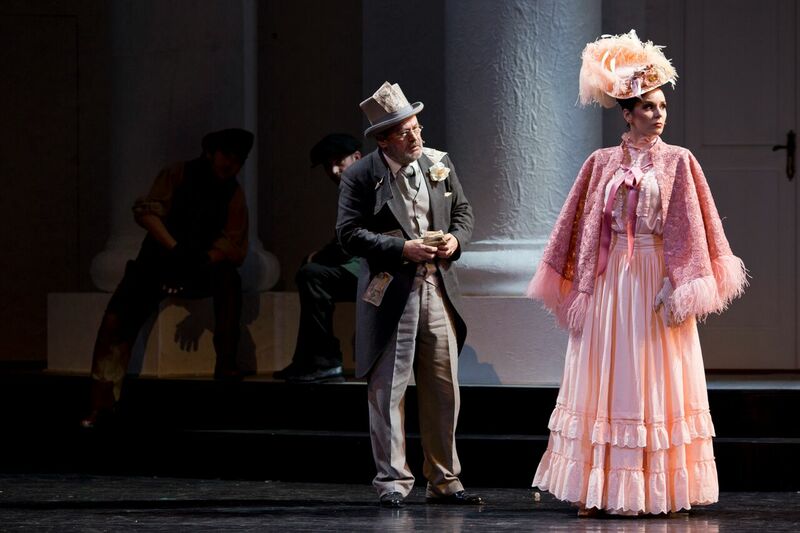 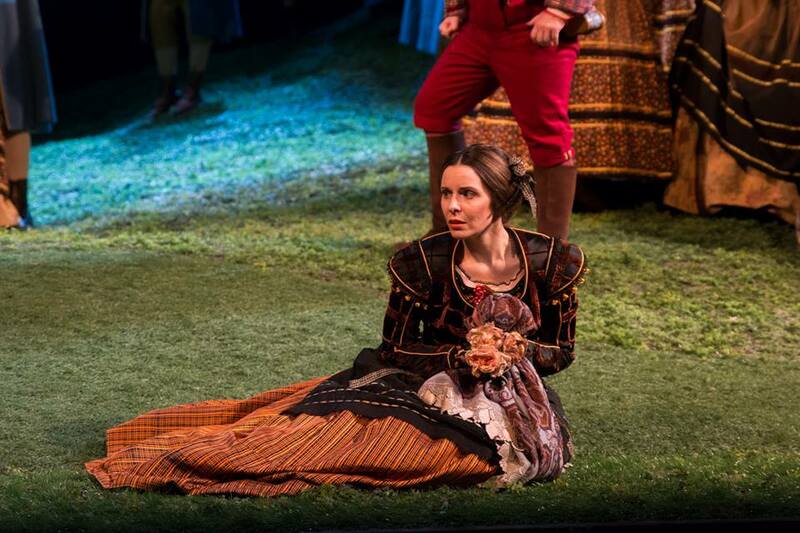 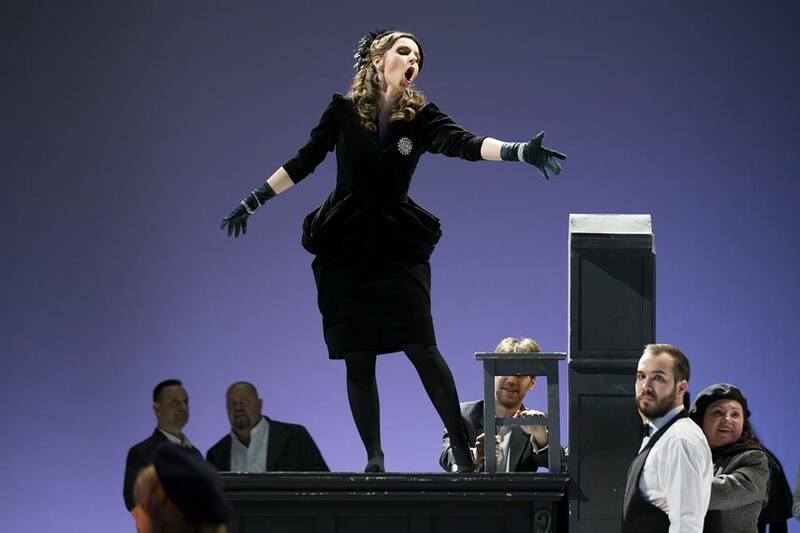 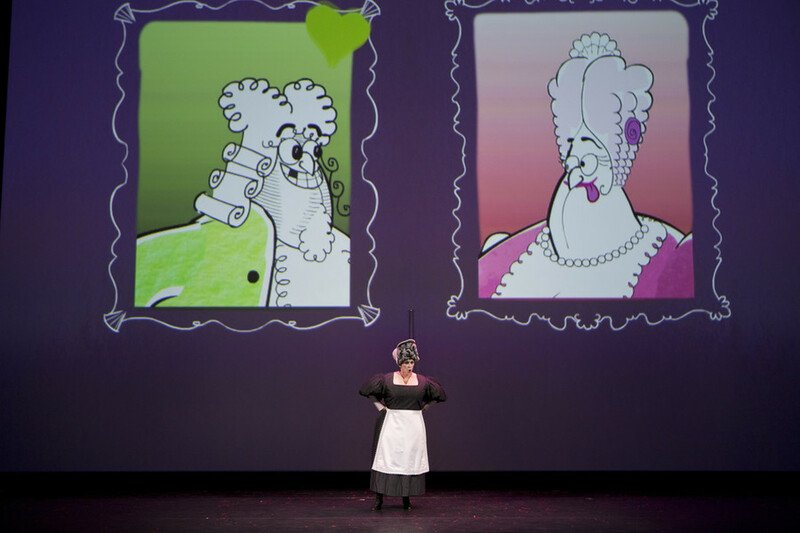 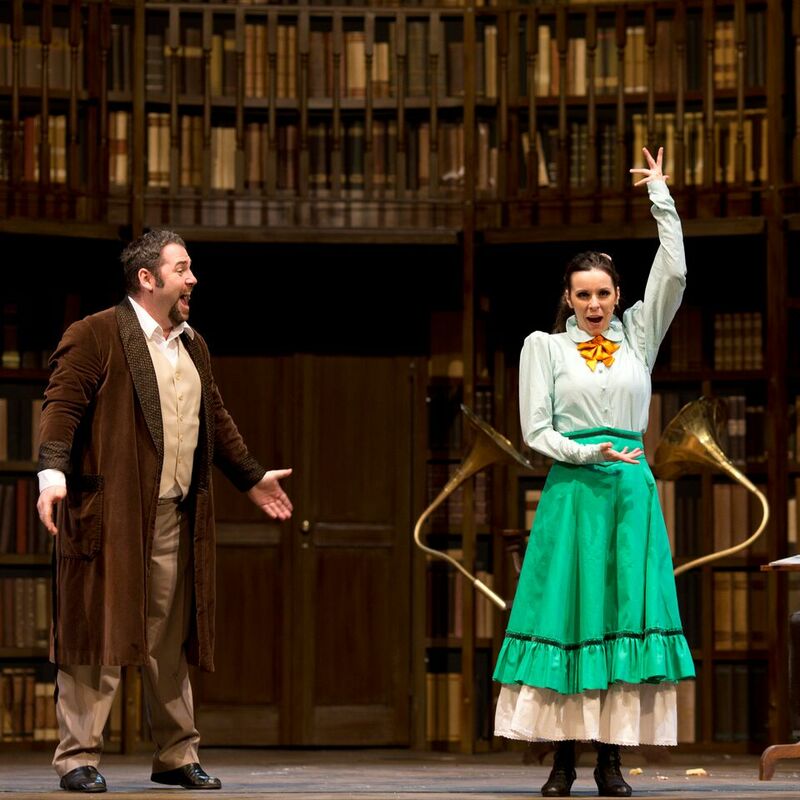 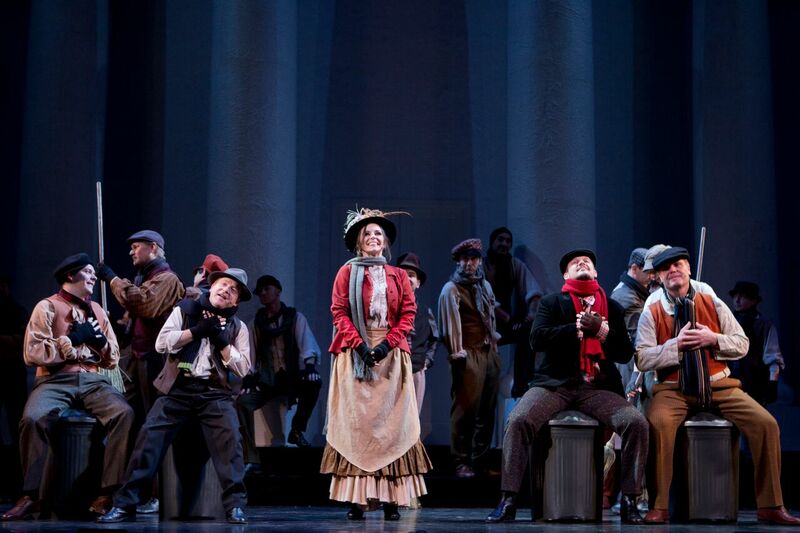 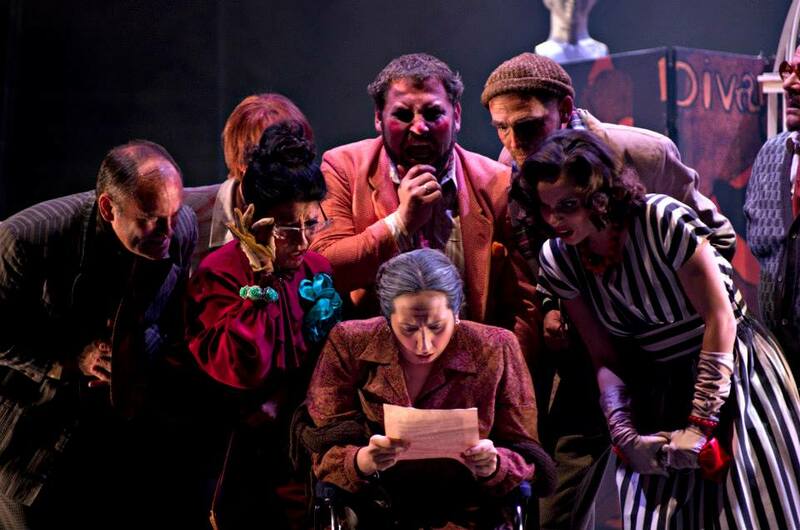 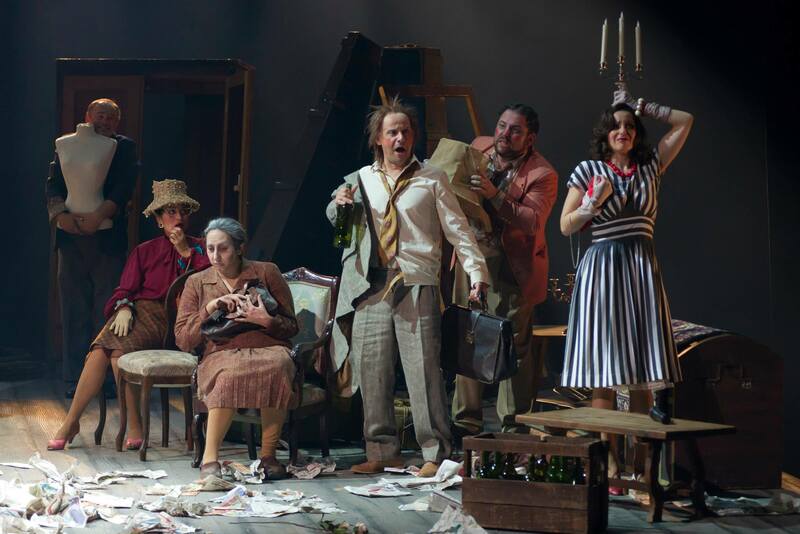 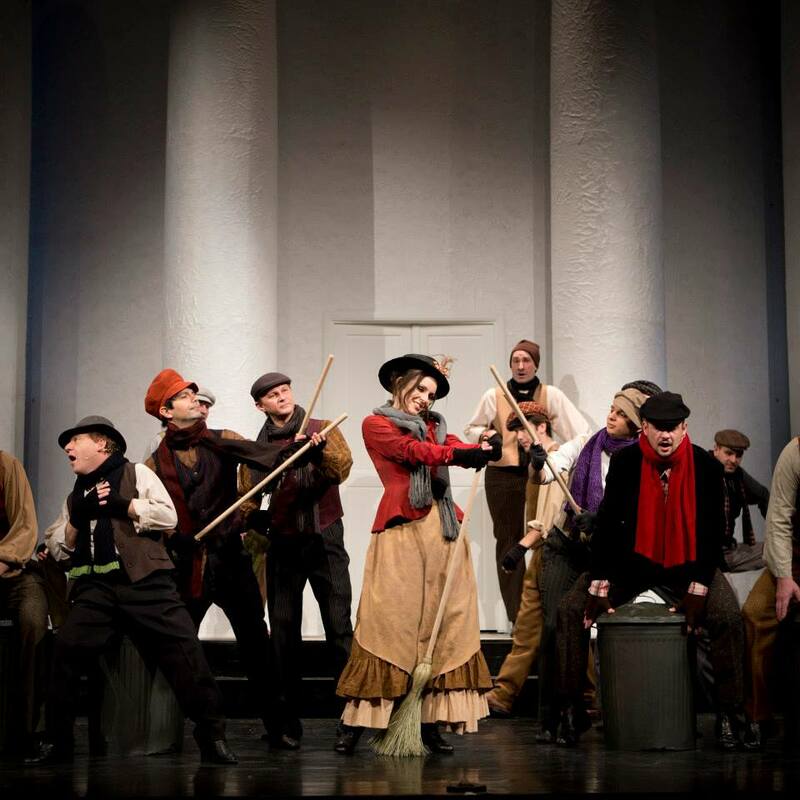 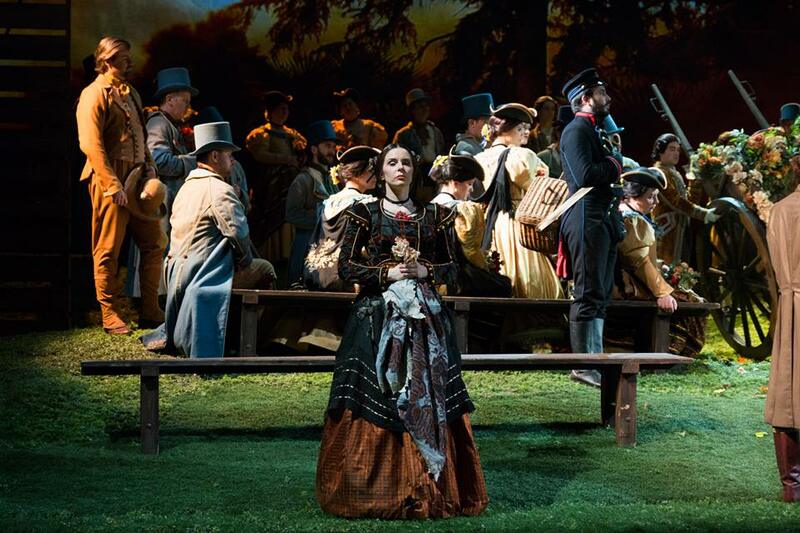 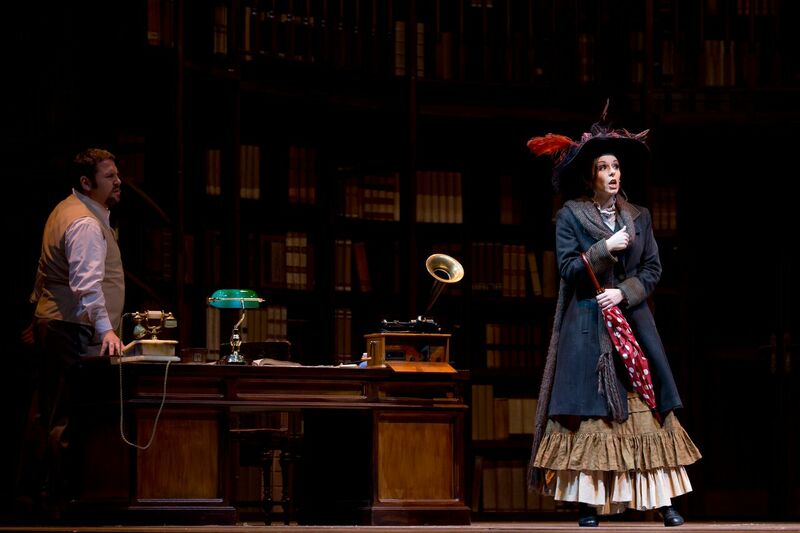 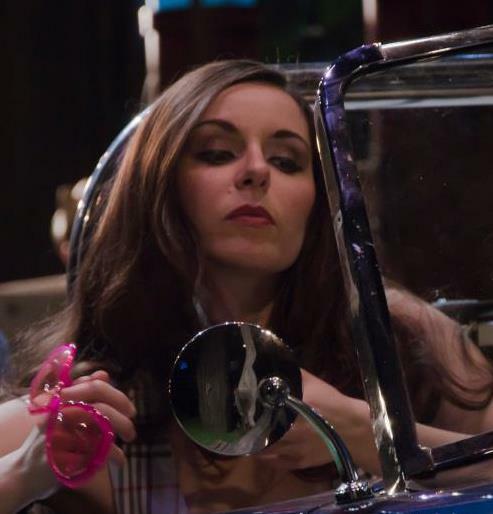 Valentina sings the role of Berta, a grumpy old housekeeper in SNG Maribor’s production of Il Barbiere di Siviglia, directed by Pier Francesco Maestrini. 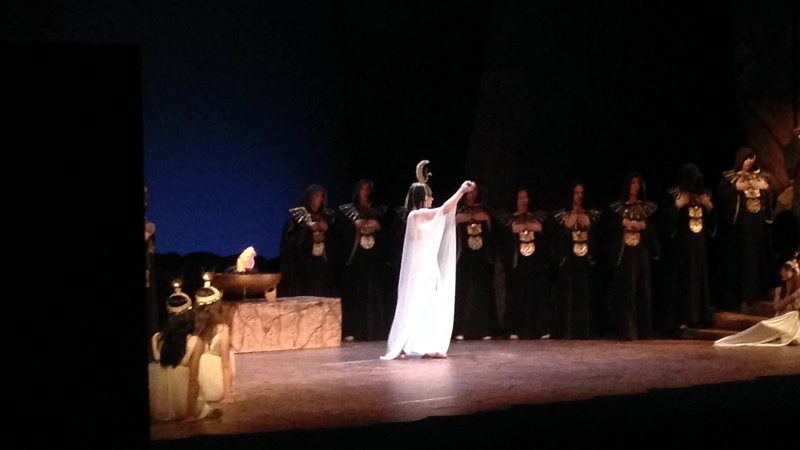 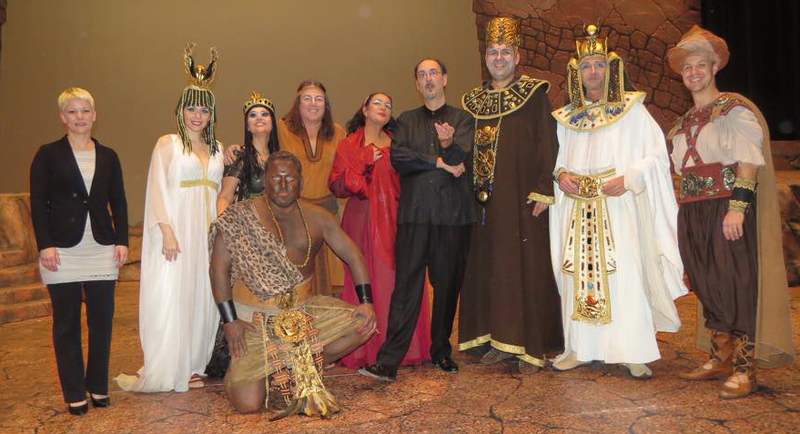 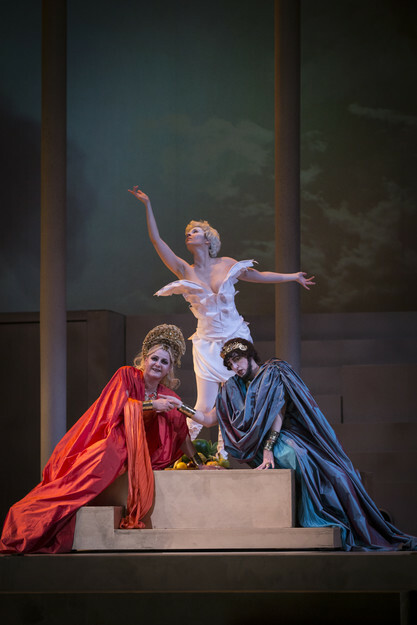 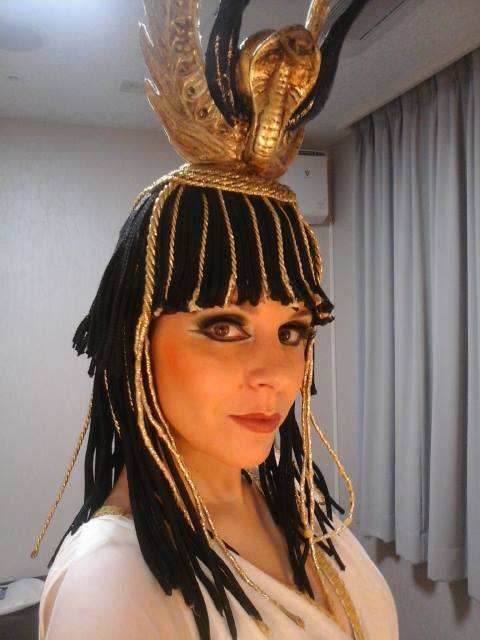 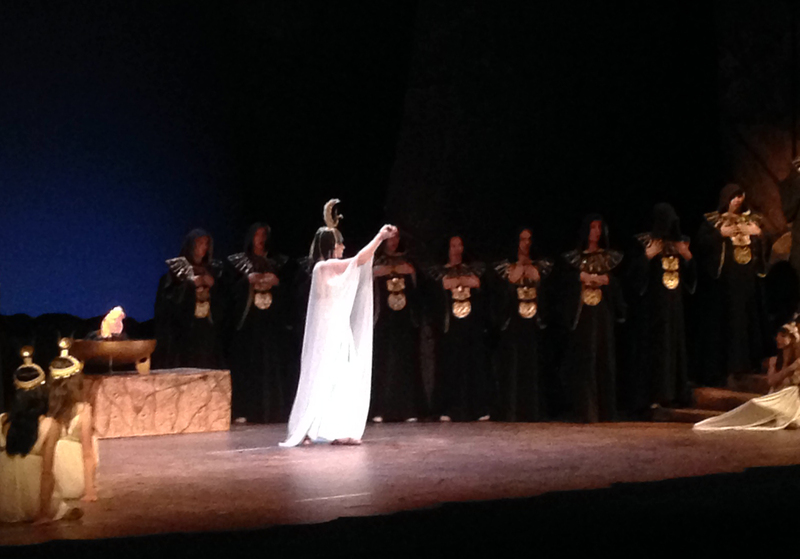 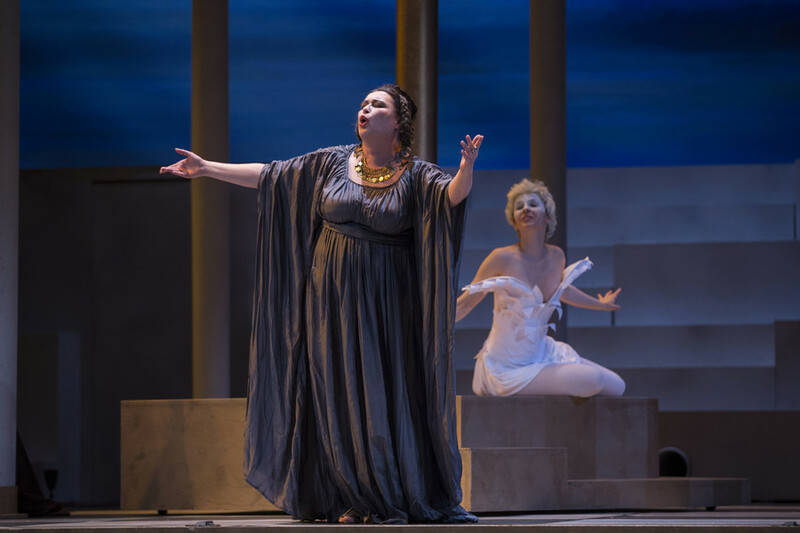 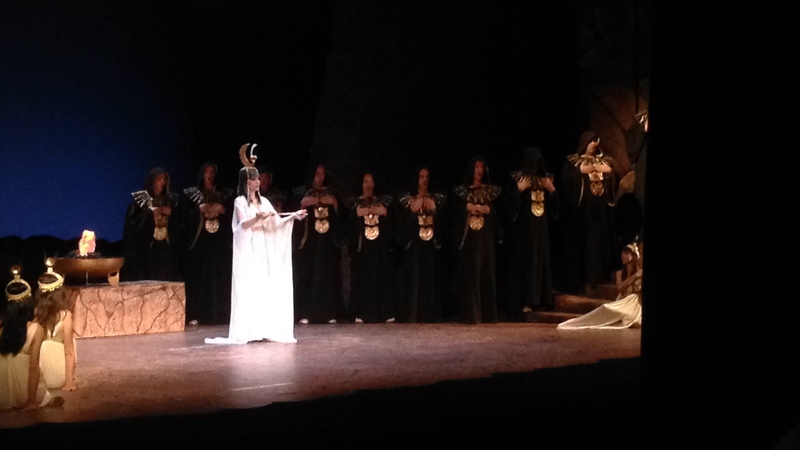 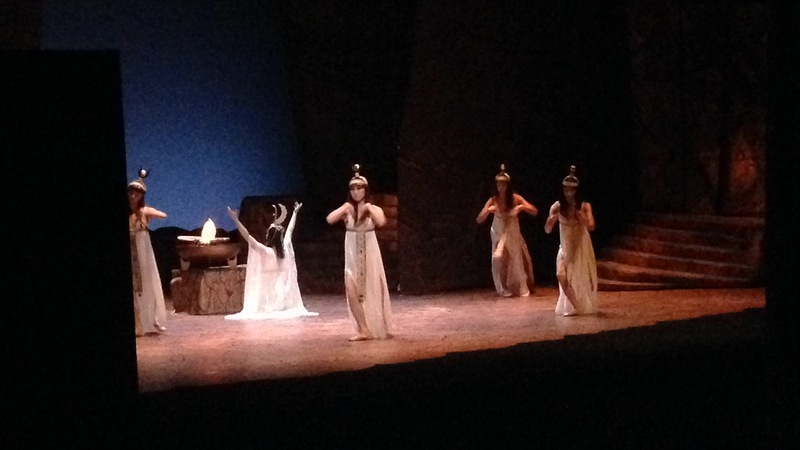 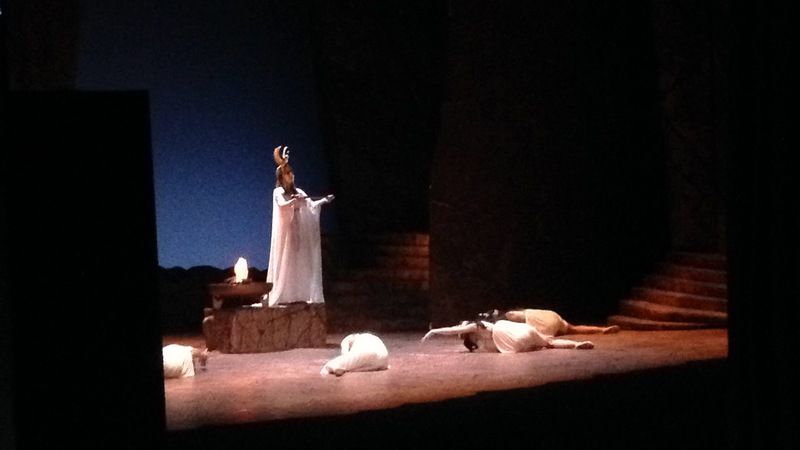 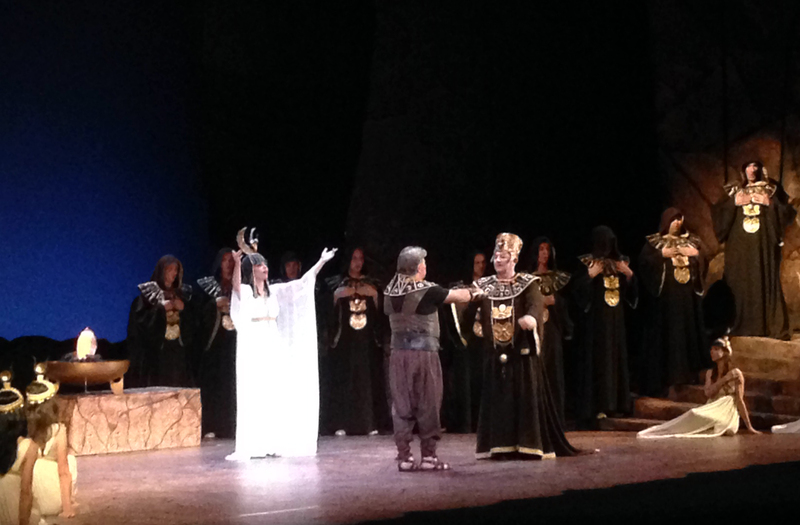 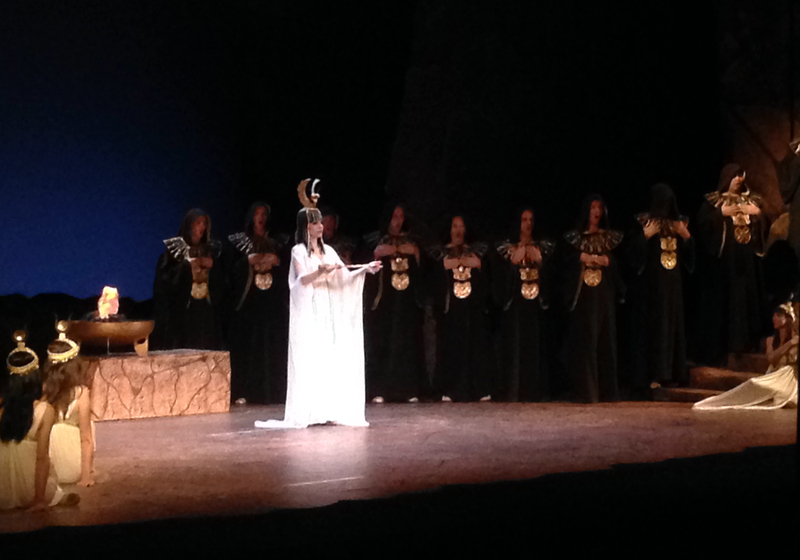 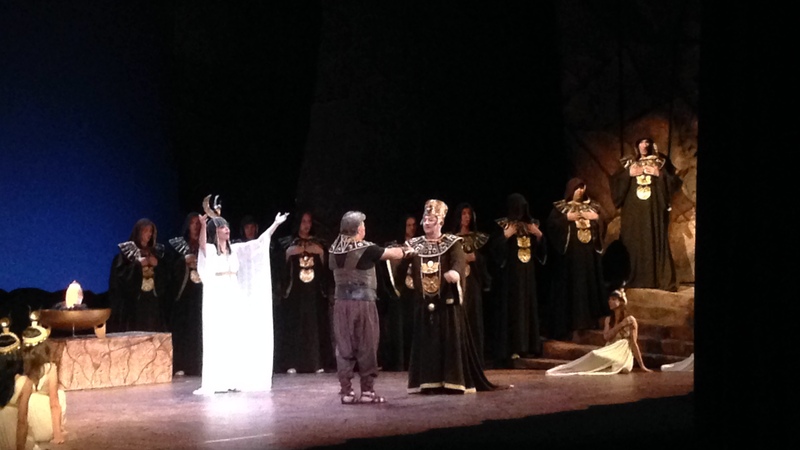 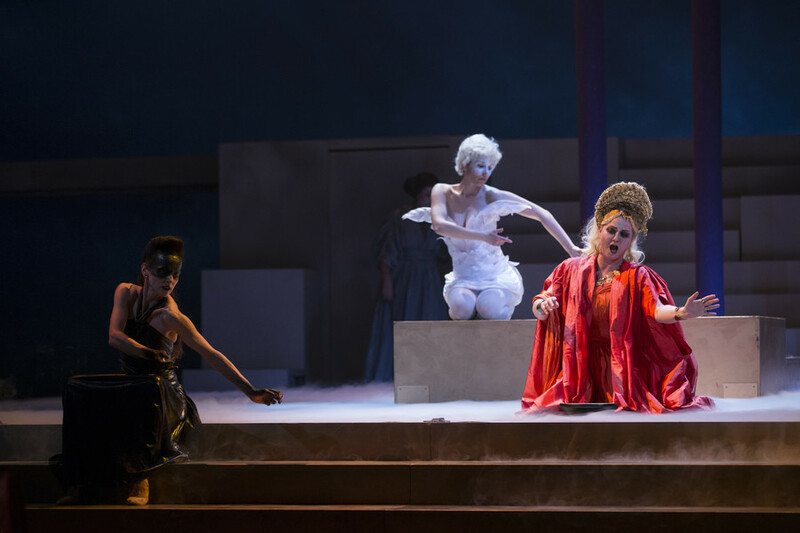 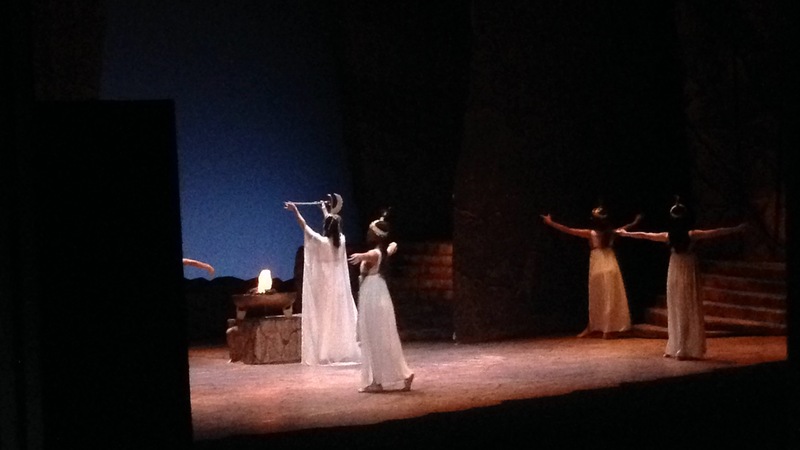 Valentina sings the High Priestess who in the opera holds a spiritual ritual where she invokes the great god Phta and blesses Radames’ journey into battle. 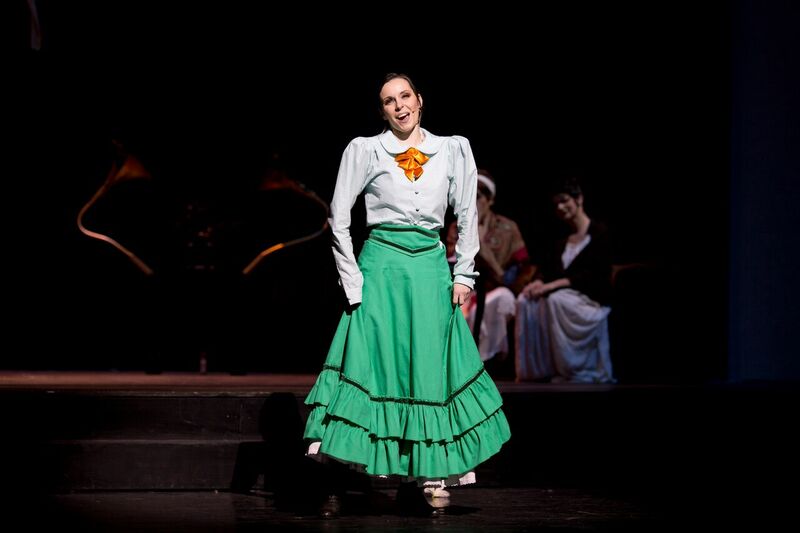 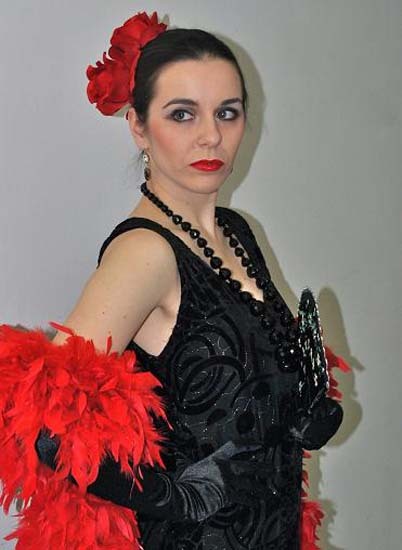 Valentina sings the gypsy girl Frasquita who, like Carmen, lives a typical life of gypsy full of music, dance, drink, love, the occasional illicit business, and, most importantly, freedom. 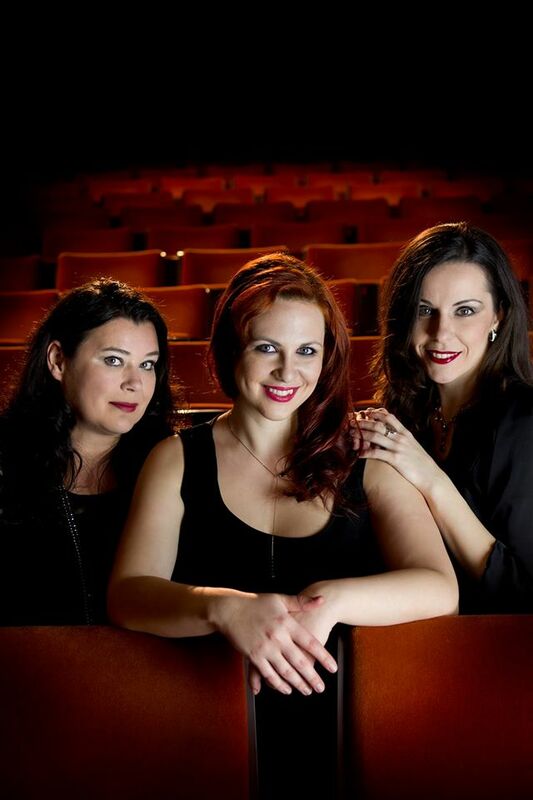 ‘Serafine’ (Seraphim) is a vocal group from Slovenia consisting of Valentina Čuden, Mojca Potrč and Dada Kladenik. 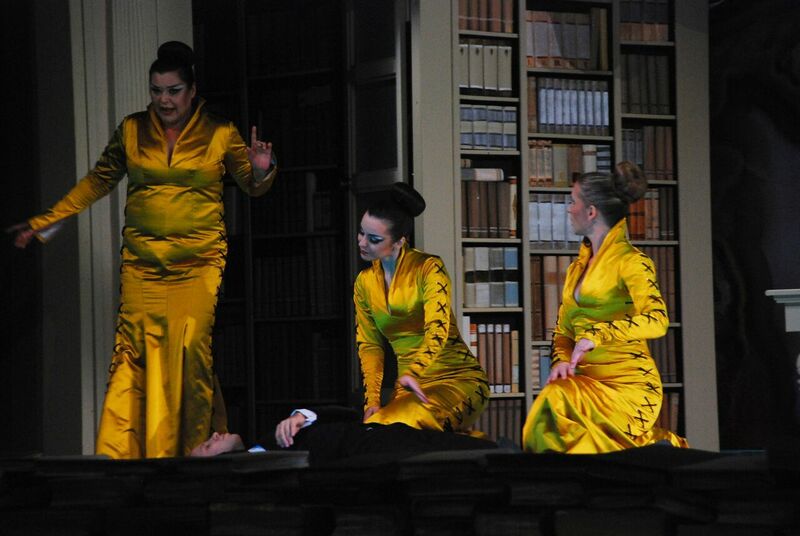 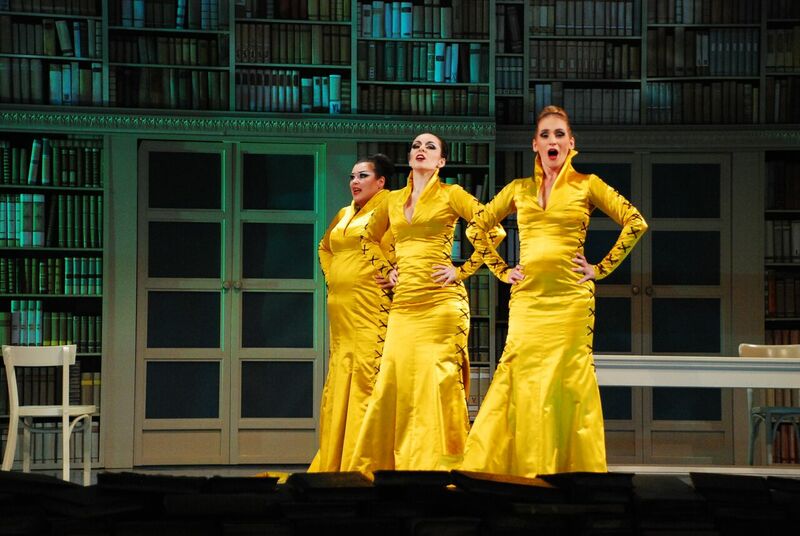 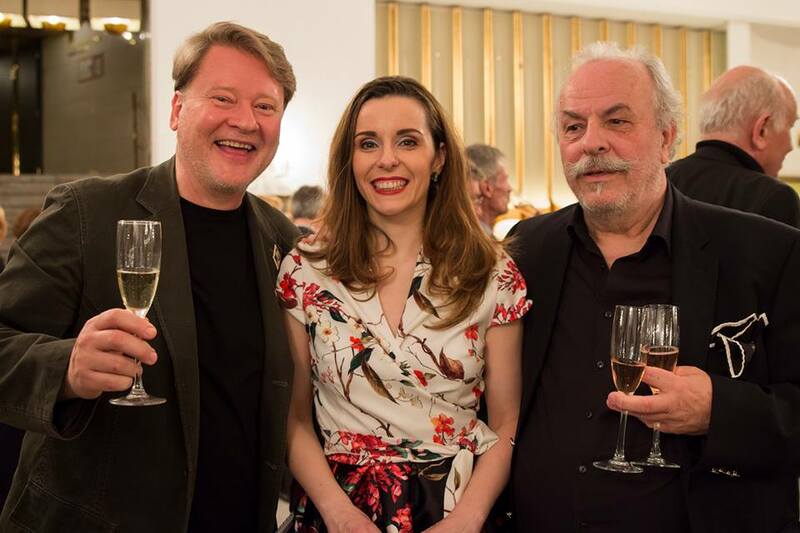 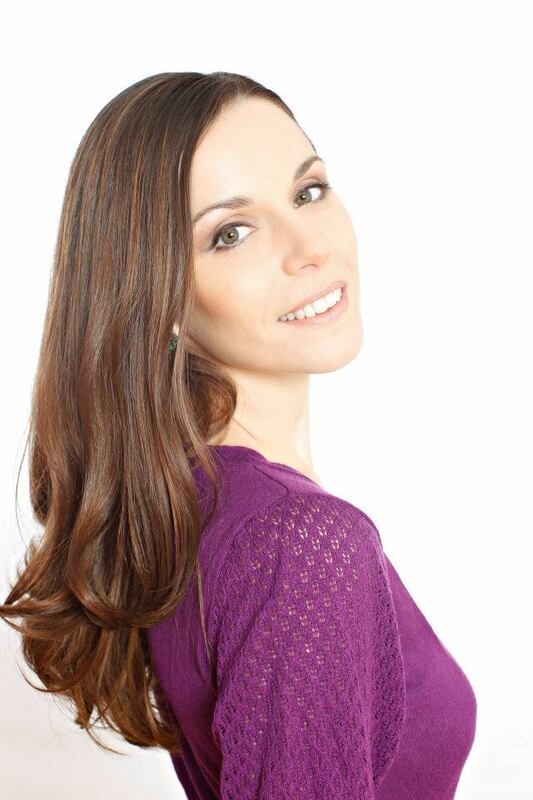 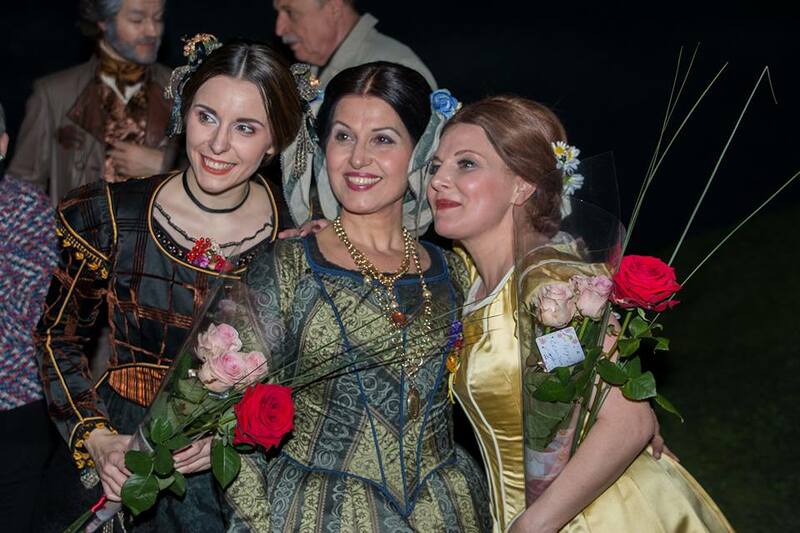 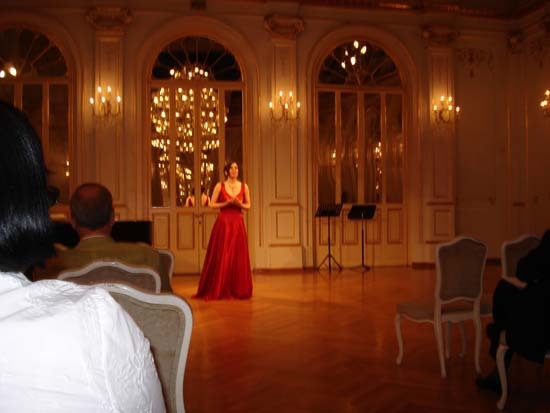 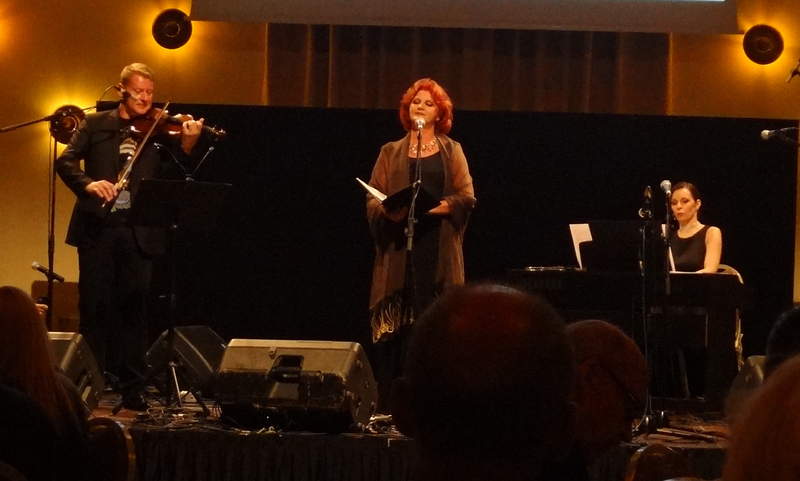 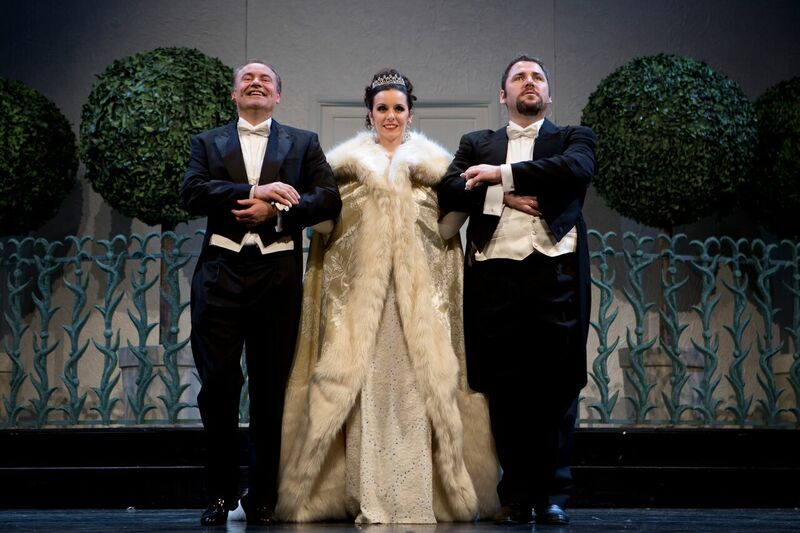 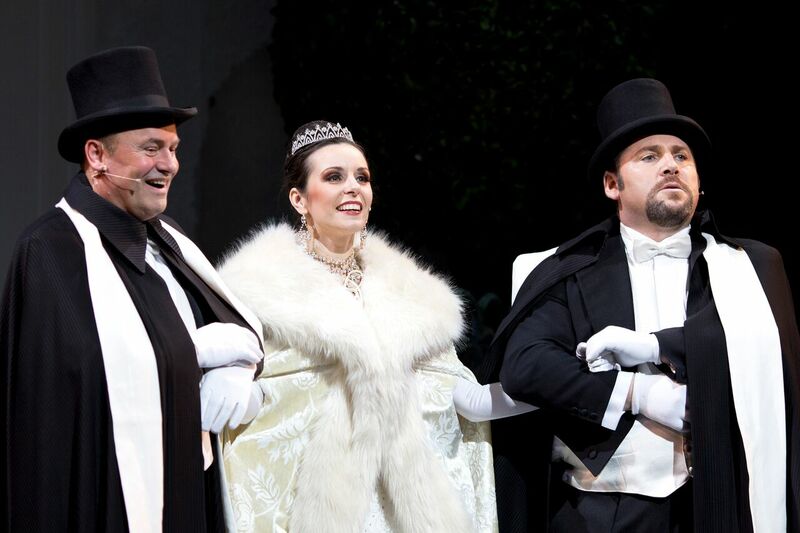 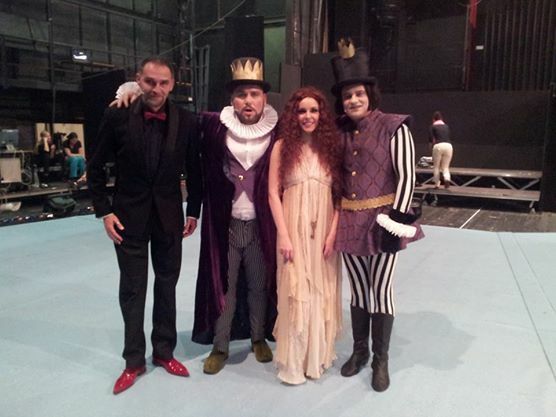 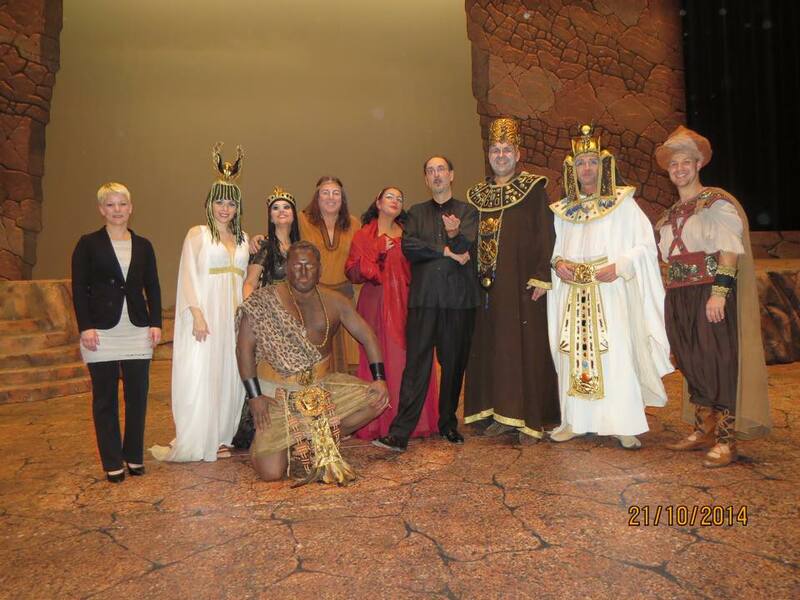 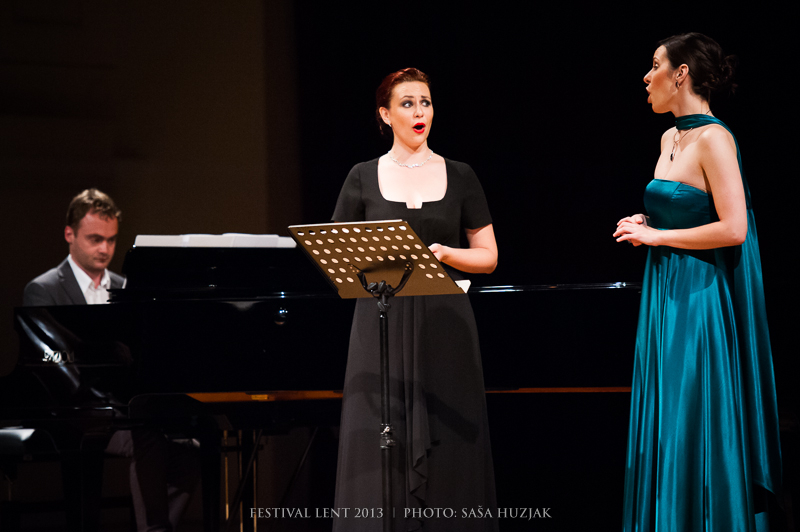 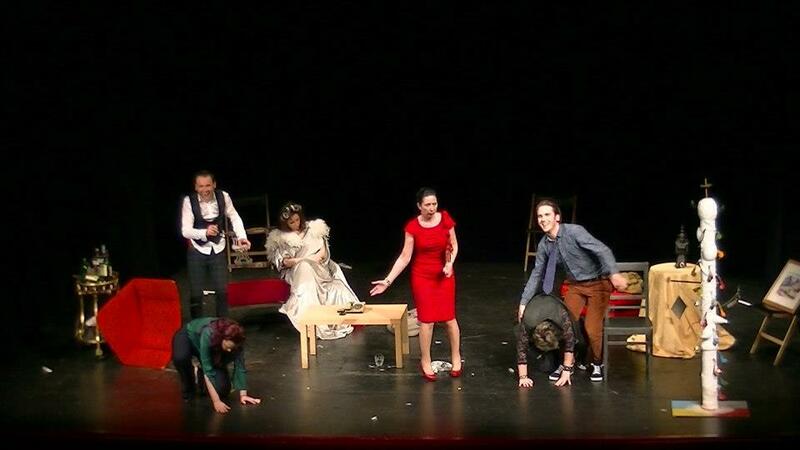 All three members are also singers with SNG Maribor opera house. 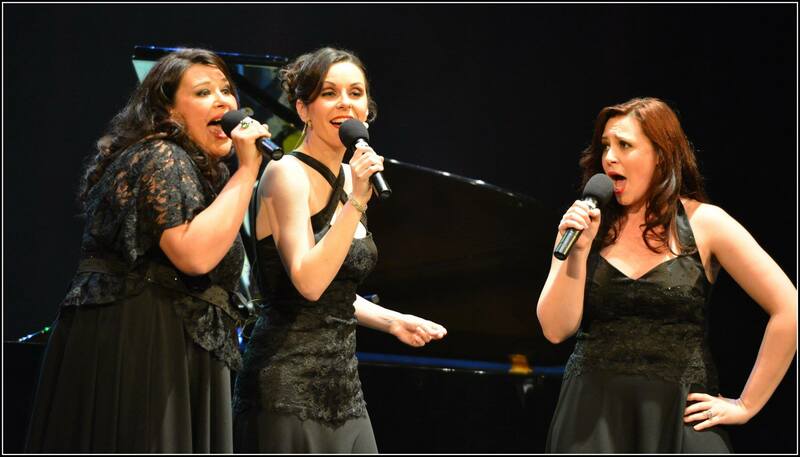 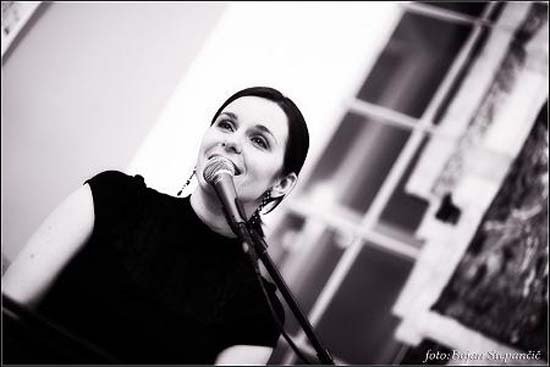 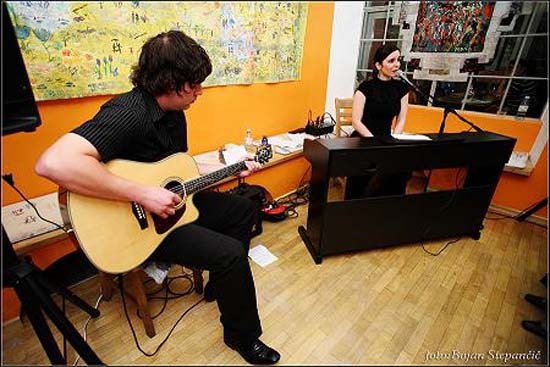 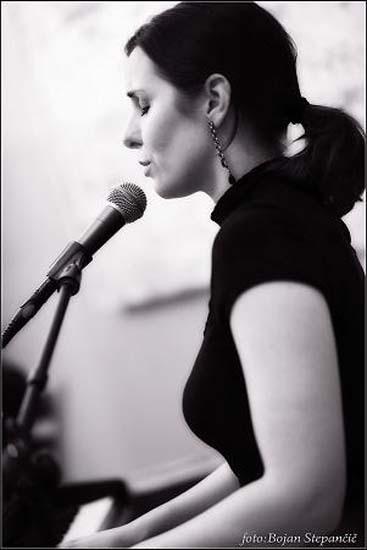 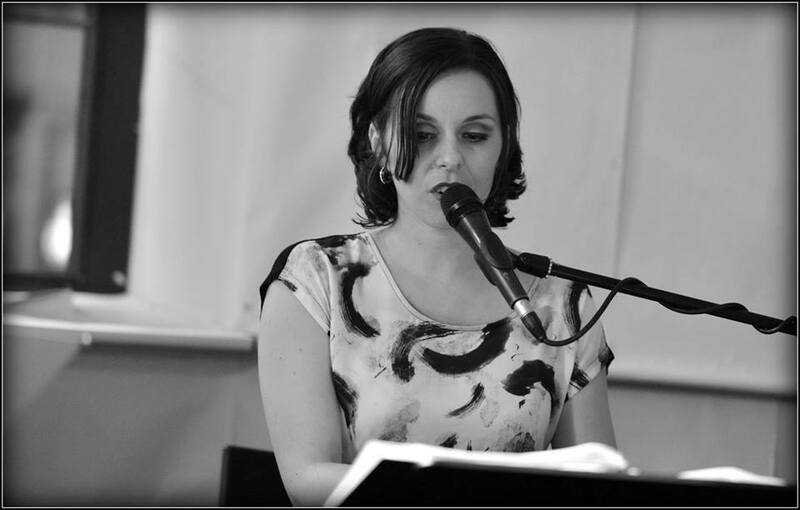 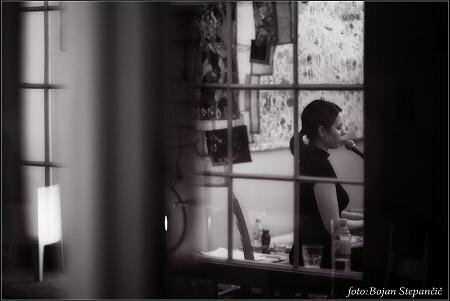 Their repertoire is a variety of popular music, arranged by the trio itself, with Valentina Čuden at the piano.